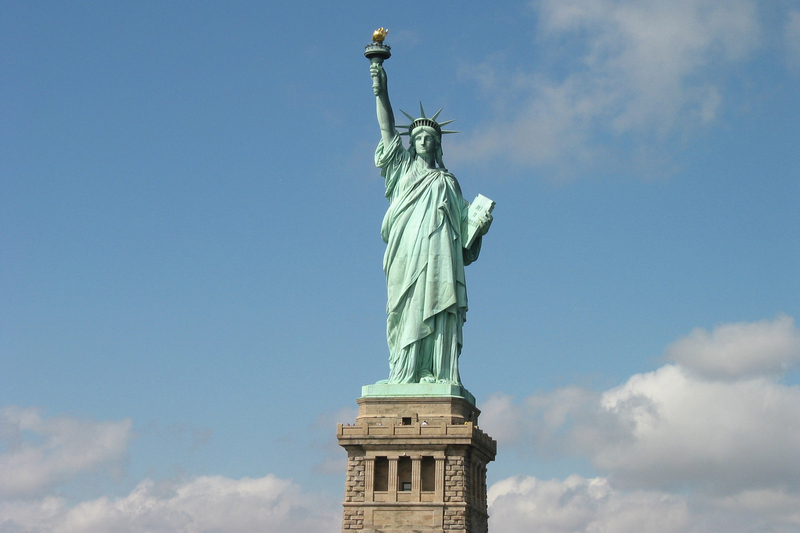 Searching for things to do with kids in NYC? We'll give you a hundred...and one! From exploring new and upcoming exhibits and hitting the best kids' playgrounds NYC youngsters love, to grabbing a slice of New York pizza and visiting the coolest family attractions in town, our roundup is 101 percent full of can't-miss fun. Opportunities abound in Gotham, and it's only right to take advantage of all the lively and exciting happenings. This super-cool checklist will help you explore unknown areas, try different restaurants and venture outside of your borough. We certainly hope you have a comfortable pair of shoes! 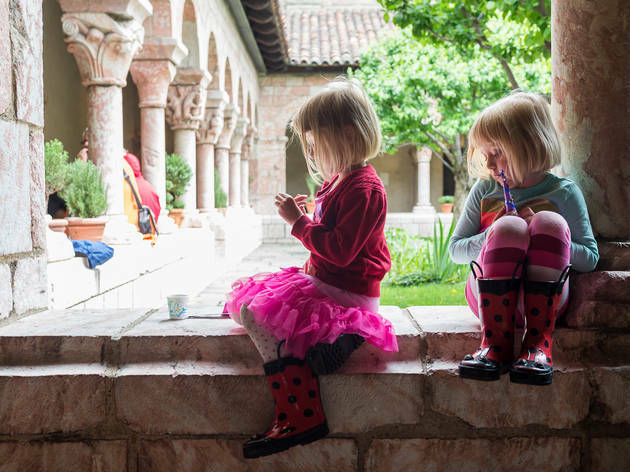 Follow along with our list of things to do with kids in NYC and prepare for "boredom" to leave your kids' vocabulary entirely. Happy adventuring! We know you'll find a lot to love. 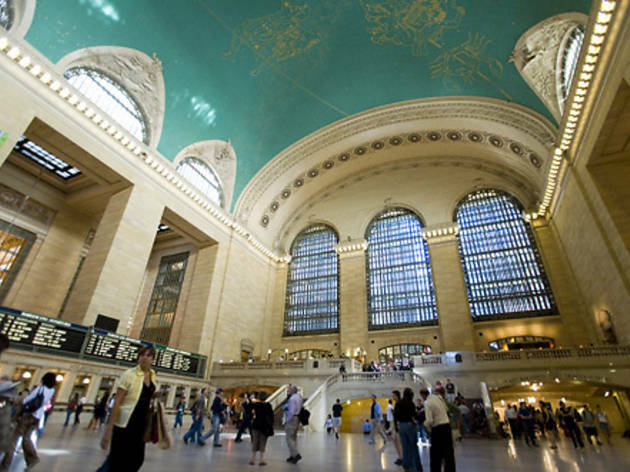 Though 750,000 visitors pass through its doors daily, Grand Central Station’s celestial ceiling in the main terminal has the power to practically stop time. But despite its beautiful, dark green hue and portrayal of the traditional zodiac, there’s just one problem: It’s technically inaccurate. Shortly after its installation in 1913, a visitor noticed certain astronomical inconsistencies, for instance, the placement of Orion. Kids, however—unless they’ve just finished a particularly intensive constellation unit in school—will be awed nonetheless. 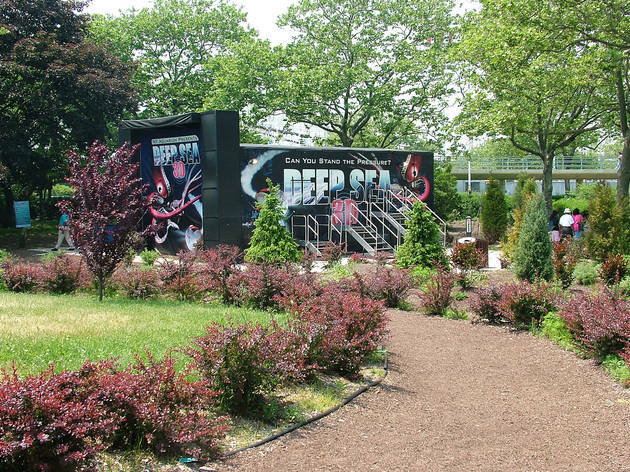 Consider this park NYC’s best example of recycling on a mega scale. 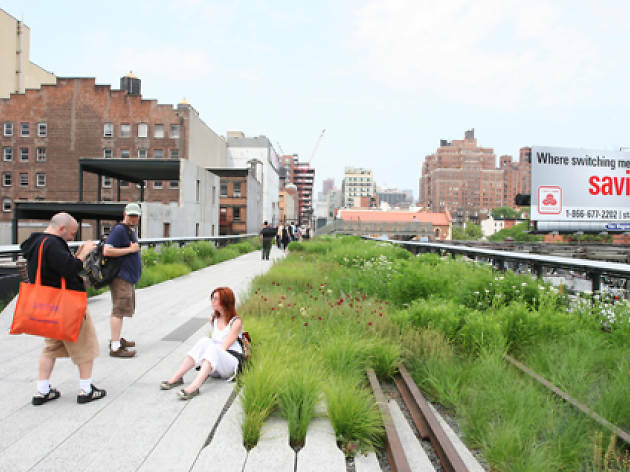 Built atop an abandoned train track, the High Line offers more than 20 blocks worth of car- and bike-free strolling. 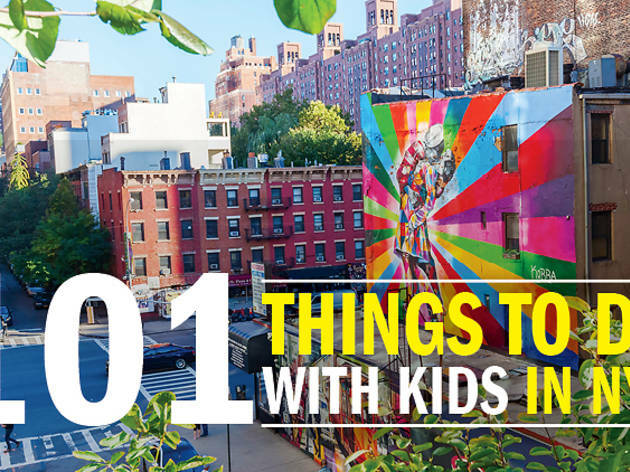 Besides plenty of seating and a killer view of the Meatpacking District and Chelsea, there are fun opportunities for little ones such as monthly family festivals, partnerships with schools and camps as well as teen programs. 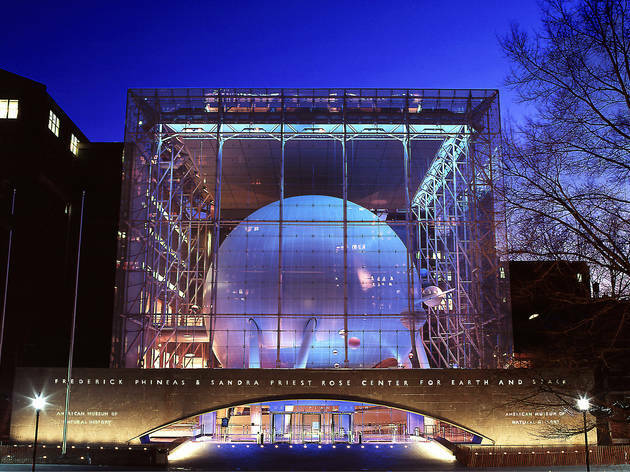 The American Museum of Natural History isn’t just home to wonderfully colossal dinosaur, sea creature and artifact displays—it’s also home to the Rose Center for Earth and Space, a glass enclosure that houses the stunning 87-foot-diameter Hayden Sphere. Families can explore the 13-billion–year history of the universe, pick up cool facts about planets, stars and galaxies and watch space shows. The Museum collaborates with NASA to keep all of its visual maps up to date. 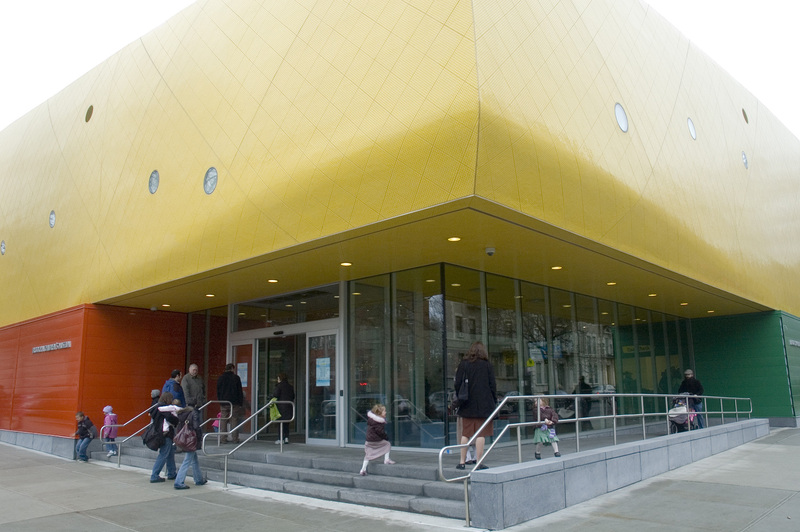 At this way-cool Queens museum, kids can get hands-on with hundreds of interactive exhibits and activities that bring science, technology, engineering and math to life. 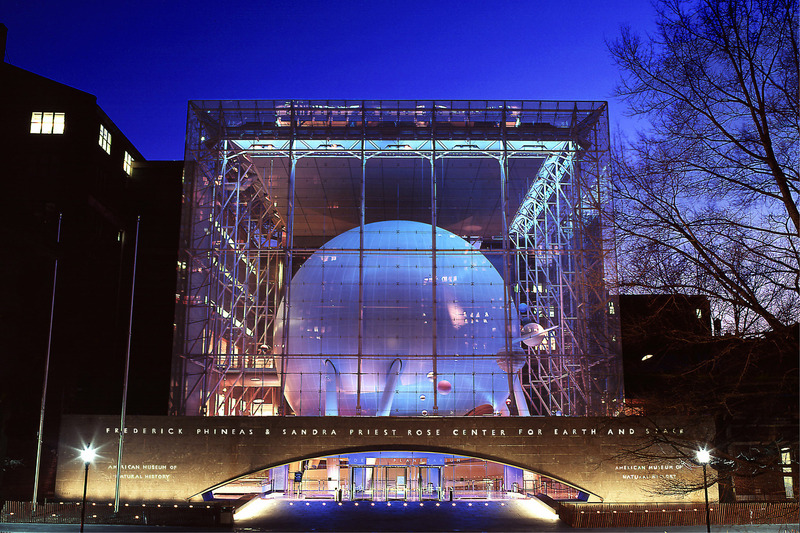 Built for the 1964 World's Fair, NYSCI is home to a revolving lineup of displays about light, 3-D printing, outer space and robots, plus the Design Lab, where kids can tackle activities at five stations: Backstage, Sandbox, Studio, Maker Space and Treehouse. 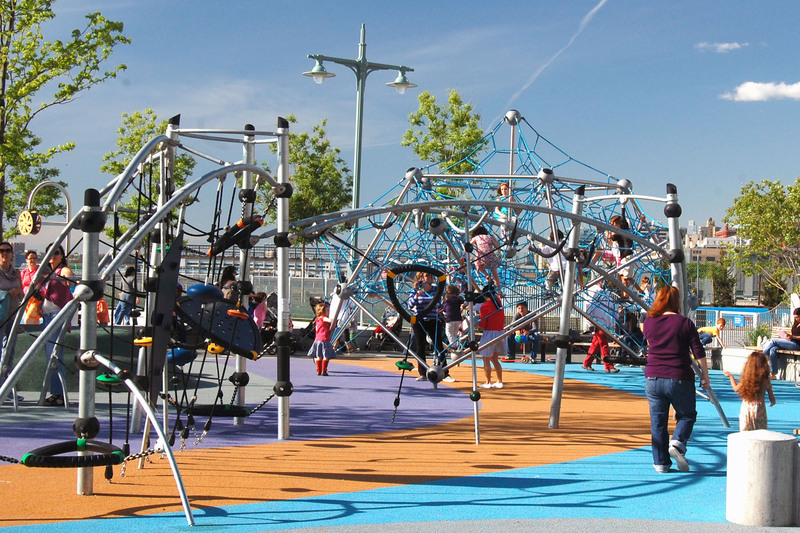 Kids can also climb on a rope web and play mini golf at the massive Science Playground and Rocket Park. Trust us, this place is worth the trek. In the short amount of time it takes to reach this former military base, families will be transported to a world a million metaphorical miles away. Lush green lawns are dotted with quaint Victorian homes, car alarms are replaced by bicycle bells and there’s always a quirky festival going on (think the annual Labor Day weekend NYC Unicycle Festival). 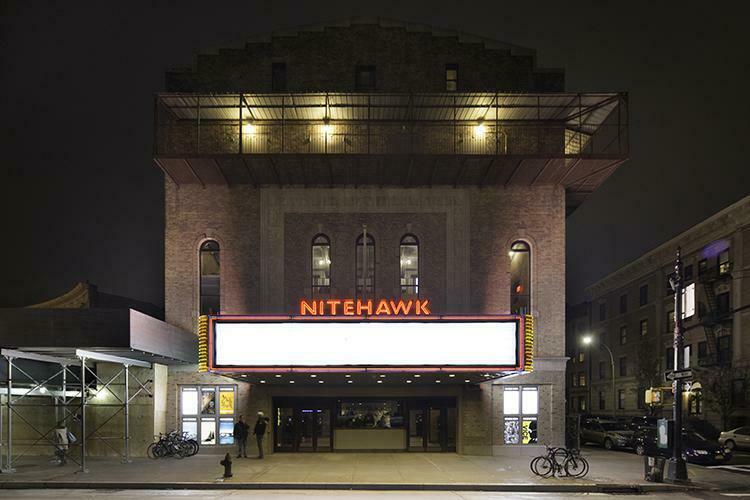 Nitehawk Cinema's highly-anticipated Prospect Park venue has made its grand debut, and everyone in the family needs to get in on the action. 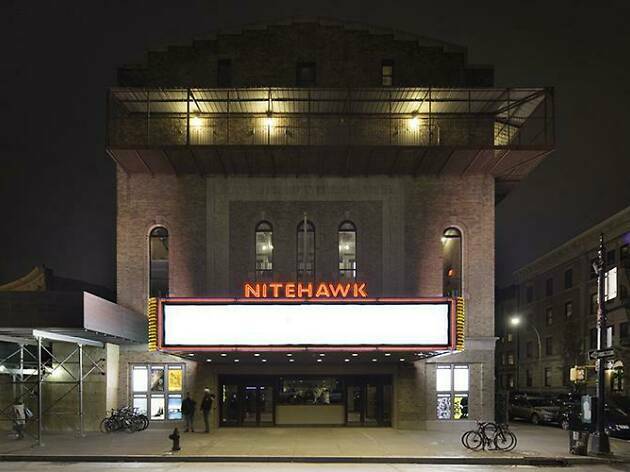 The dine-in theater is a unique movie experience for adults, but the Lil' Hawk friendly programming allows junior film buffs to take their movie excursion to the next level. The kid-centric offerings—made even more perfect by the surrounding Park Slope nabe—are can't miss treats. Learn more here. All ages. The animals who inhabit the Bronx Zoo have no problem climbing on rocks and finding the tallest tree branch to call their own, so you should be able to experience the grounds from new vantage points, too. 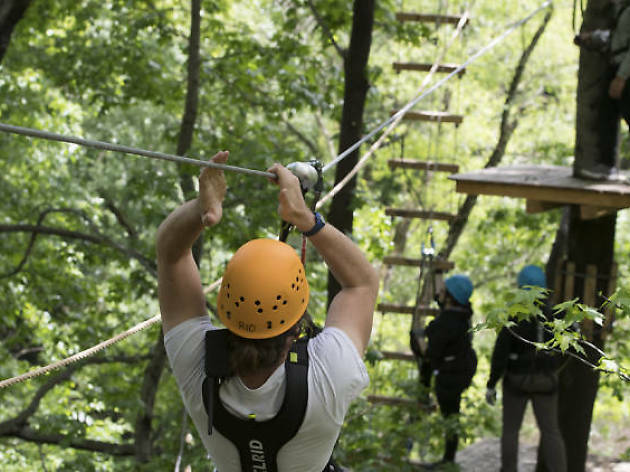 Thanks to the Bronx Zoo Treetop Adventure, visitors (ages 7 and up) are treated to a whole new perspective thanks to a zip-lining and a rope adventure course. 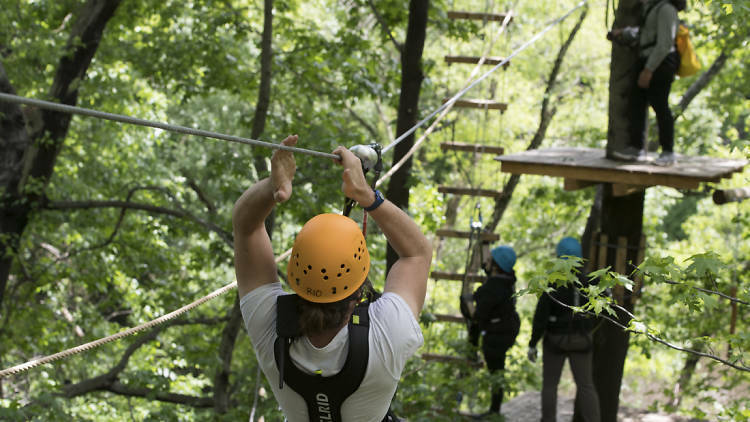 After a walk through the exhibits, get your adrenaline pumping with something adventurous, and if you walk away feeling inspired, make sure to book your child’s next birthday party at the course! The moment the curtain rises in this gorgeous jewel box theater, kids sense that something truly amazing is about to happen—and it does. 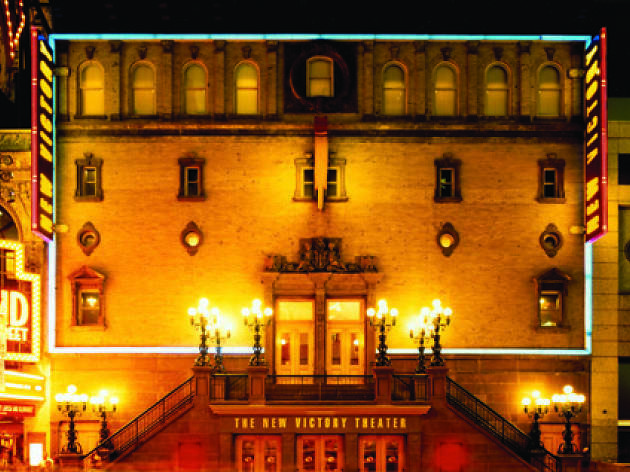 The New Vic is beloved for its high-quality productions of entertaining and thought-provoking theater sourced from all over the world, with fantastic stories that feature everything from breathtaking new plays to re-imagined classics and gigantic puppets to breakdancing daredevils. 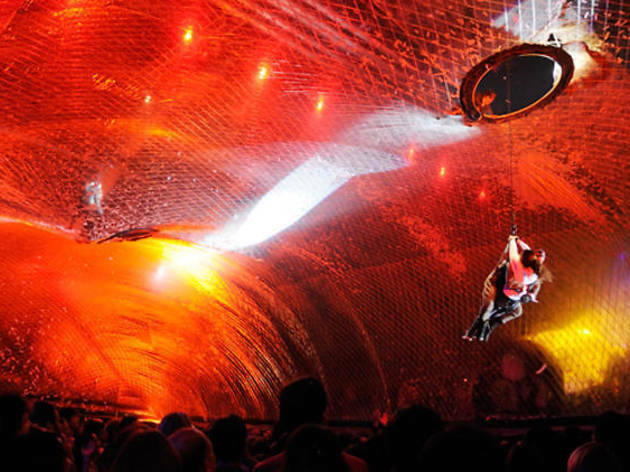 Audiences could be transported to the depths of the ocean, Ancient Rome, the plains of Africa, the circus or maybe even Mars, thanks to artists of every stripe keeping everyone enthralled. 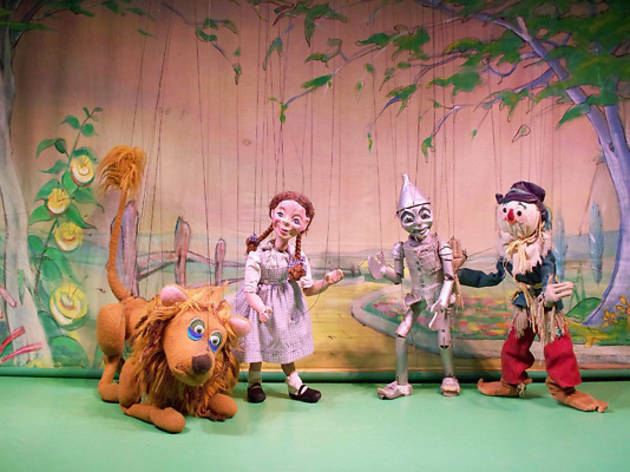 Most performances are designed with specific age groups in mind—pre-schoolers, grade-schoolers, tweens and teens—and activities such as pre-show crafts, professional workshops and other themed programming build on the young audience’s enjoyment and understanding of the show. 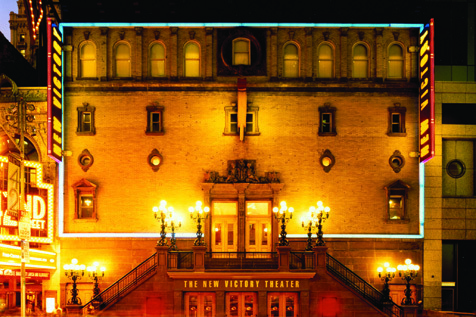 Parents will love the venue’s family-centric ethos—affordable ticket prices, Autism-aware performances, stroller parking, free lockers and plentiful booster seats, all thoughtful touches that take the drama out of taking kids to the theater. 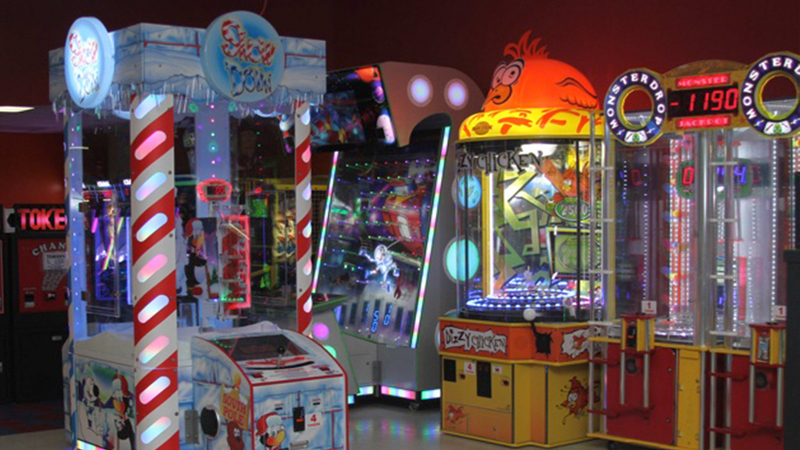 Though parents enjoy nostalgic visits to old-school arcades, kids have an equally hard time parting ways with their favorite pinball machines. 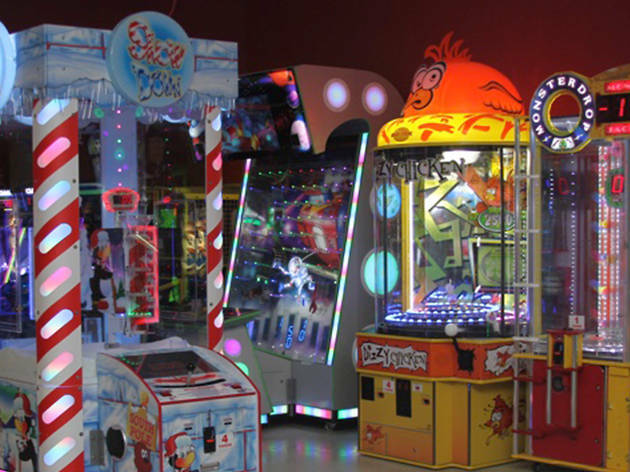 Bring the whole family to spots such as Modern Pinball, which packs your favorite games into every possible inch of space, or new favorites Dave & Busters, where you can tackle a variety of options for little ones who want a more modern touch. 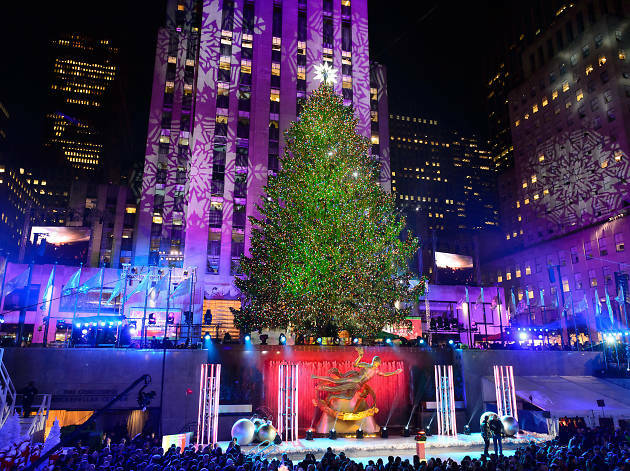 New York is world-famous for its over-the-top dedication to the holidays each December, and few places in Gotham better sum up the city’s love for the season than this annual show. 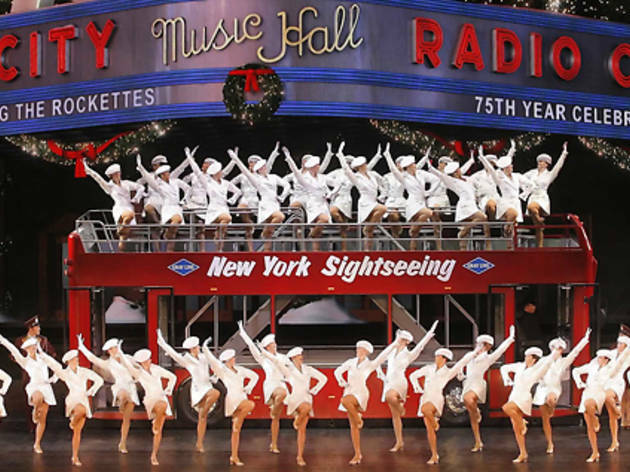 Since 1933, the Rockettes have been bringing cheer to audiences’ faces with each in-unison high kick in their fabulous, sparkling costumes. 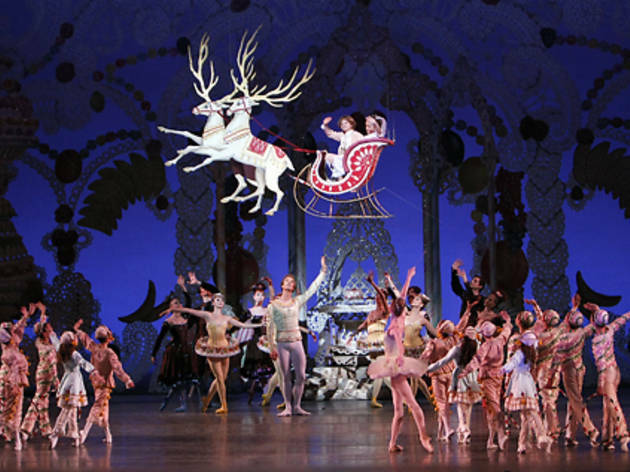 The massive set pieces and new technology mix with classic elements like the dancing Santas and wooden soldiers to create an experience nostalgic grandparents and first-time viewers will equally enjoy. 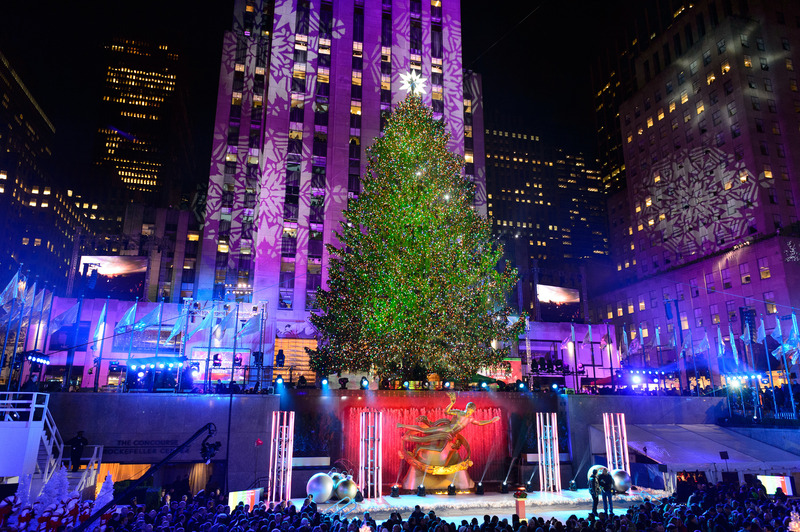 Afterward, make sure to grab a picture around back at Rockefeller Center’s gigantic holiday tree. This is a quintessential addition to your list of things to do during the holidays. 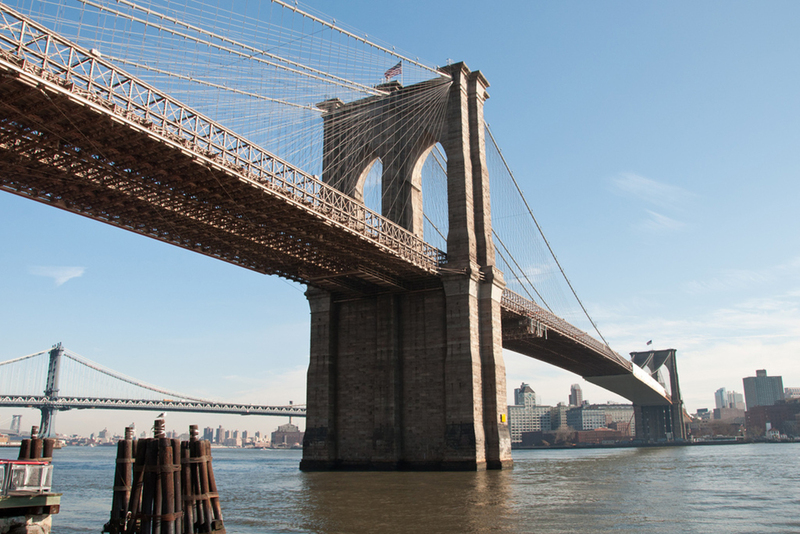 The mile-long stroll from end to end of the Brooklyn Bridge offers spectacular views of downtown Manhattan, including the Freedom Tower, the Statue of Liberty, Governors Island and of course, the iconic double arches that have come to signify NYC’s hippest borough. 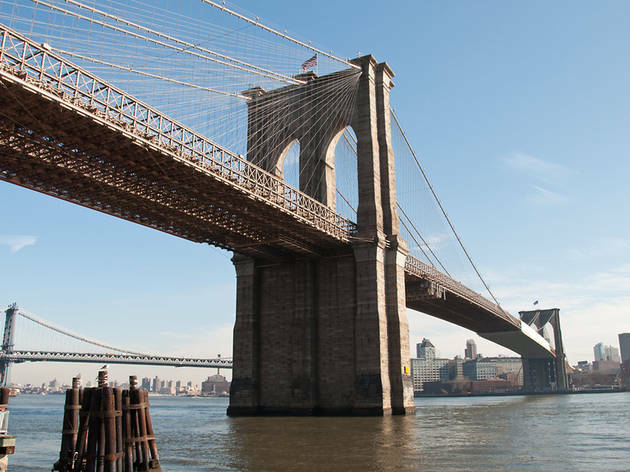 While you’ll mostly be joined by the thousands of other tourists and locals crossing the East River, be on the lookout for occasional cyclists attempting to make their way through the crowds. If you’re coming from Manhattan, reward tired legs with a scoop of something sweet at Ample Hills Creamery, conveniently located at the base of the bridge in DUMBO. If you worked up an appetite, make sure to stop by the forthcoming Time Out Market New York on Water Street, which is a taste of the city’s best chefs under one roof. You’ll have a whale of a time at the Wildlife Conservation Society’s home to marine life. 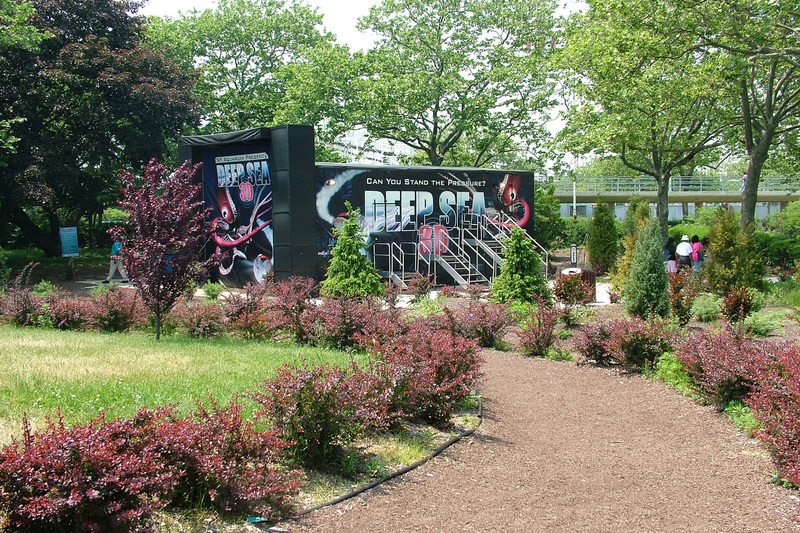 Located off the Coney Island Boardwalk, the aquarium is where you’ll find plenty of fish, starfish and the mammals and birds that live among them. Otters, seals and penguins take in the sun from the stony cliffs before cooling off or searching for food under the water while sea lions show off amazing behaviors in the aquatheater for special shows. Visitors looking for an experience with more teeth should definitely check out the sharks. 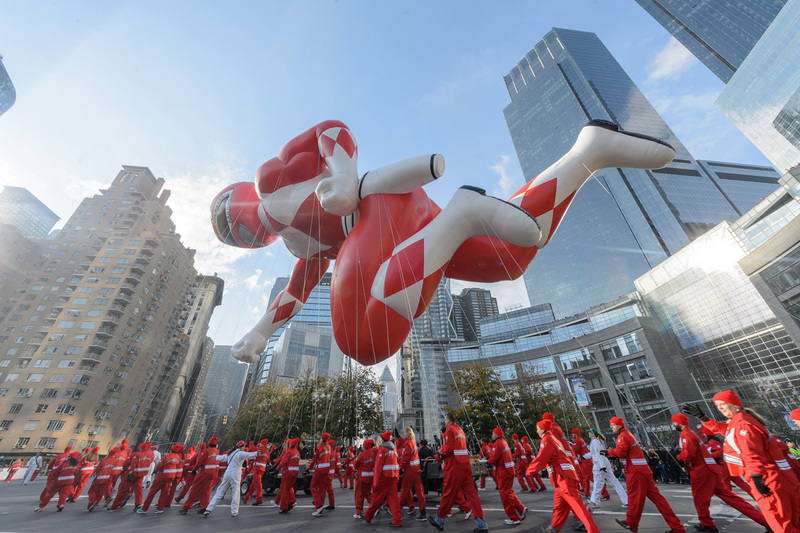 The Macy’s Thanksgiving Day Parade is more than just your average street fair—and you definitely aren’t just limited to watching it on TV. 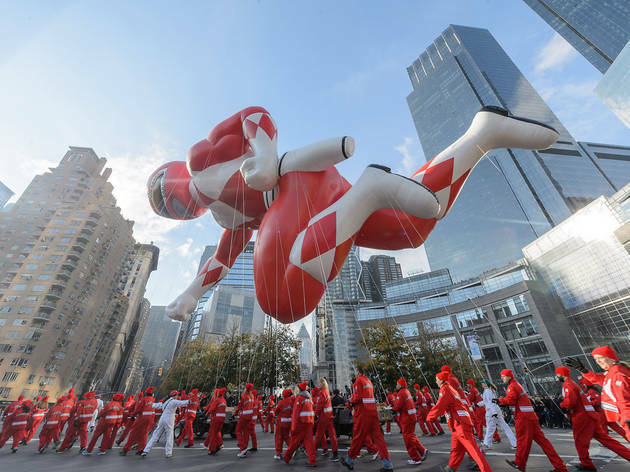 Get there early and line up along 6th Ave to see classic balloons like Snoopy or newer additions like Hello Kitty, the Pillsbury Doughboy, SpongeBob and Paddington Bear. 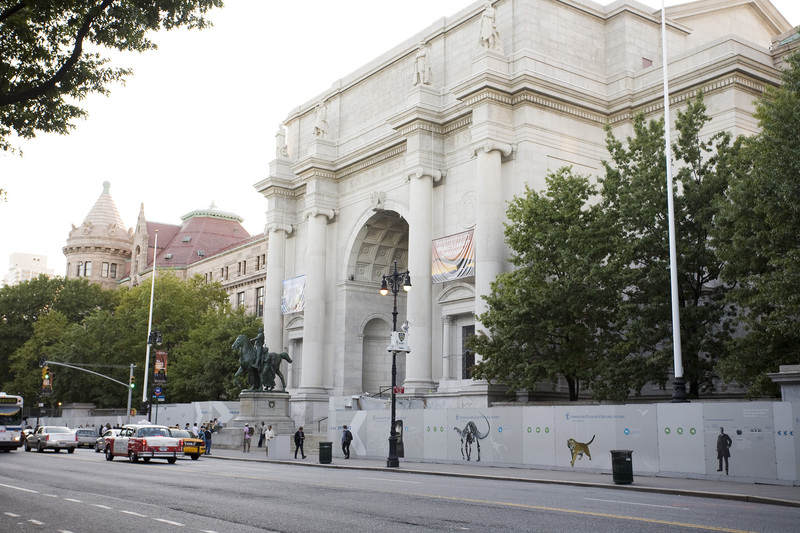 There’s also a balloon inflation area on the Upper West Side the evening before festivities begin—usually outside the American Museum of Natural History—if you aren’t interested in battling the crowds on Thanksgiving. 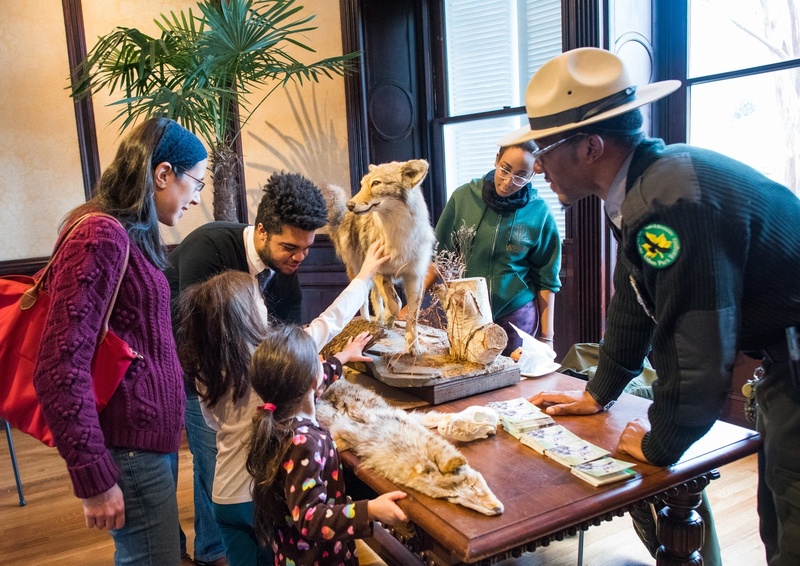 It’s one of the best things to do with kids in NYC as the holiday season gets underway. 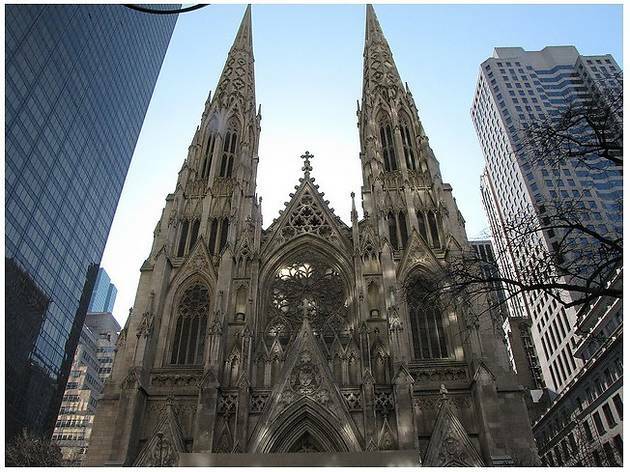 This legendary house of worship counts Presidents, movie stars and business moguls among past and present attendees. While its intricate marble towers are a marvel of Gothic Revival architecture, St. Pat’s interior—including the Louis Tiffany–designed altar and spectacular rose window—is tremendous as both a feat of master craftsmanship and a source of spiritual inspiration. 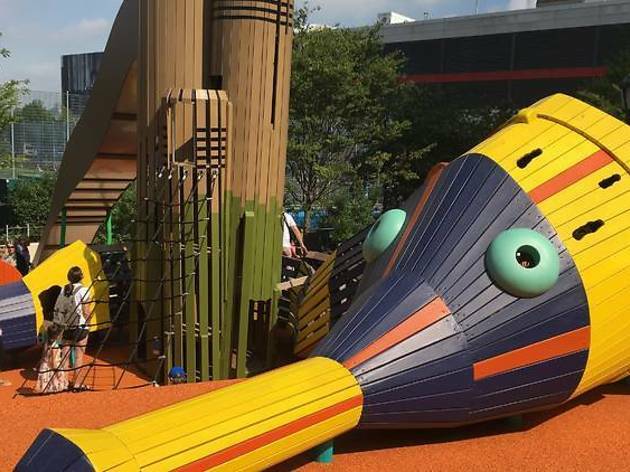 The newly renovated Chelsea Waterside Play Area pays homage to a resident of the Hudson River Park Estuary: the pipefish! 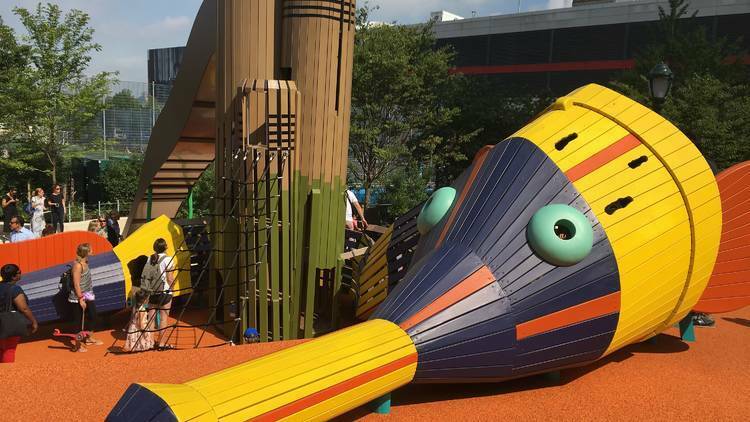 He's on display in all his glory as the playground's main attraction—a multi-colored slide designed by Michael Van Valkenburgh. The upgrades also include a newly constructed water features, a fun sand area plus a new shaded region where parents can catch a breather. All ages. 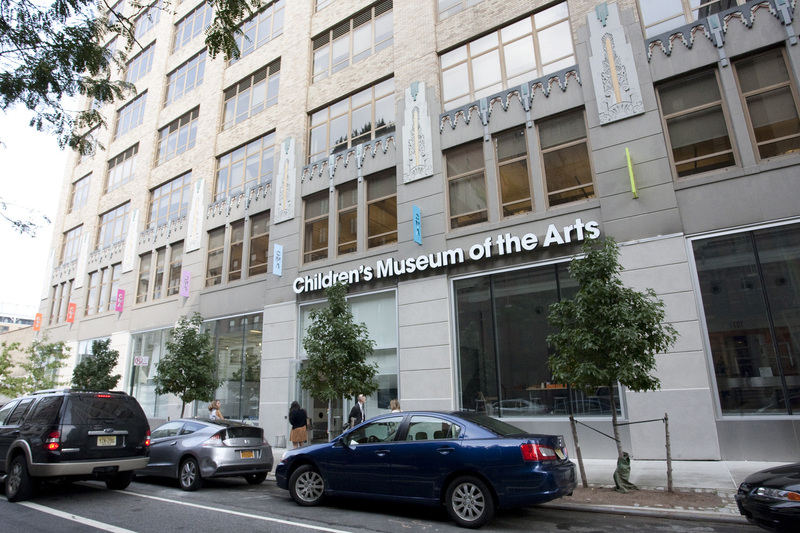 Though the Museum of Modern Art might seem a bit intimidating for a family excursion, many young visitors love the expressive, colorful works of masters like Picasso, Matisse, Gogh and Jackson Pollack. 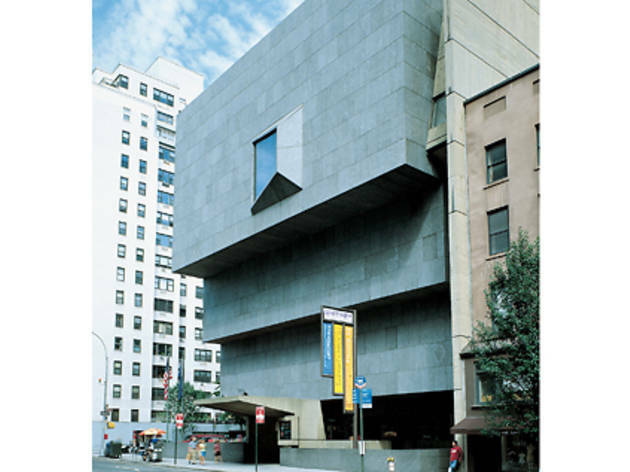 Talented tour guides on specific days offer tours of the modern and contemporary galleries specifically for four years olds, kids 5 to 10 years old and for tweens. On each group trip through the legendary museum, kids share their ideas about the art and are taught new ways of looking at and thinking about the material through conversation and hands-on activities, like drawing and movement. Can’t find a tour? Explore the space yourself and later stop by the Art Lab, a room with multimedia tools kids can use to express their own creativity. Note that the venue will temporarily close from June to October of 2019 to work on renovations. 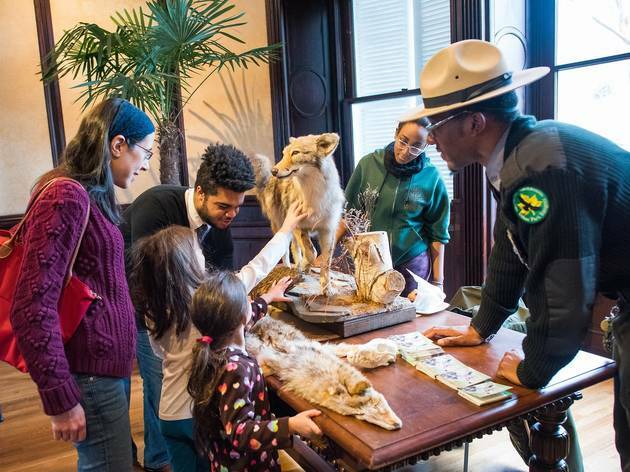 A visit to Snug Harbor keeps families busy thanks to the scenic cultural center and interactive Staten Island Children's Museum. 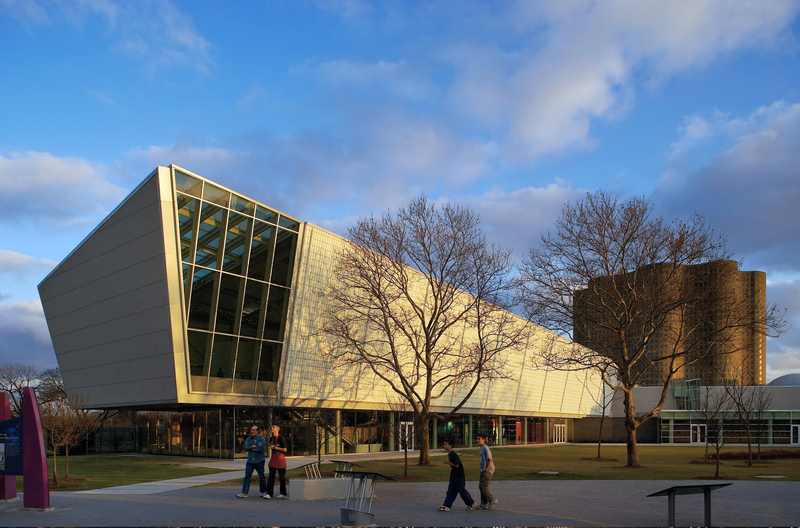 Wander through hands-on exhibits, engage in song and dance and get in on craft projects. Don't forget to visit the Connie Gretz Secret Garden, where kids can wander through the maze-like shrubbery inspired by Frances Hodgson Burnett's classic novel. There's a miniature castle and rose garden at the end of the trail! While convincing your children to use their feet and quit their whining about wanting to take a taxi might be a challenge, they’ll happily keep pace with the crown on a special tour about their interests. Broadway babies (and bigger fans) will love the Broadway Up Close tour of the Theater District, where guides not only share stories about the iconic stages and their actors, but also can get into the nitty gritty on the real (non musical) life of one particular founding father with a trip downtown for the “Hamiltour.” For those local history buffs, learn about New York during the Revolutionary War, or the very localized history of your neighborhood like Chelsea or the Lower East Side, check out a walk with the extremely well-informed guides at Big Onion Tours. 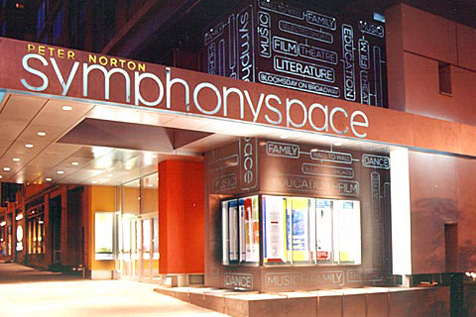 Symphony Space’s weekend family program is an utterly kid-friendly celebration of the arts with a lineup of music, literary, dance and theatrical events that will have them grooving, singing and rolling in the aisles. At the ultra-popular Saturday morning Just Kidding series, youngsters experience everything from circus acts and rock bands, to puppetry and beatboxing (the latter comes with massive playground-bragging rights), and during the Thalia Kids Book club, young readers take part in creative writing exercises and engage in dynamic Q&As with their favorite authors. 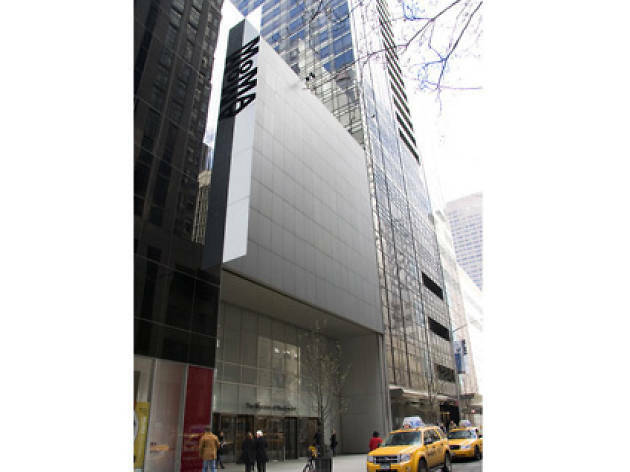 Add a raft of concerts, plays and even screenings of Britain’s finest National Theatre productions, and you’ve got yourself a weekend home on the corner of 95th and Broadway. 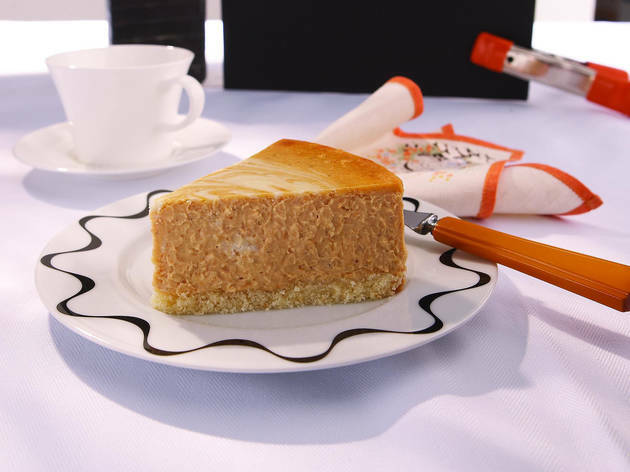 This New York institution's claim to fame is its rich, fluffy cheesecake, which comes in several varieties like red velvet and devil’s food—but your picky eaters will be plenty pleased with the original. 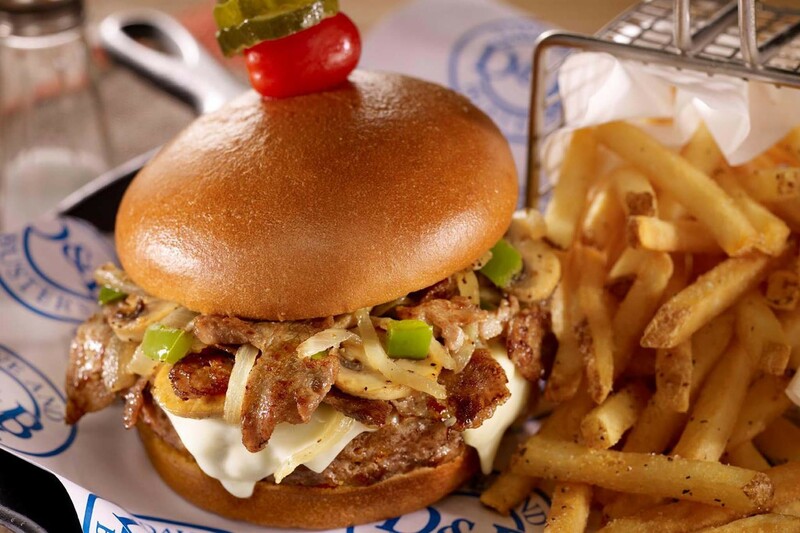 Work our way up to the sweet slab of loveliness by chowing down on diner fare first. 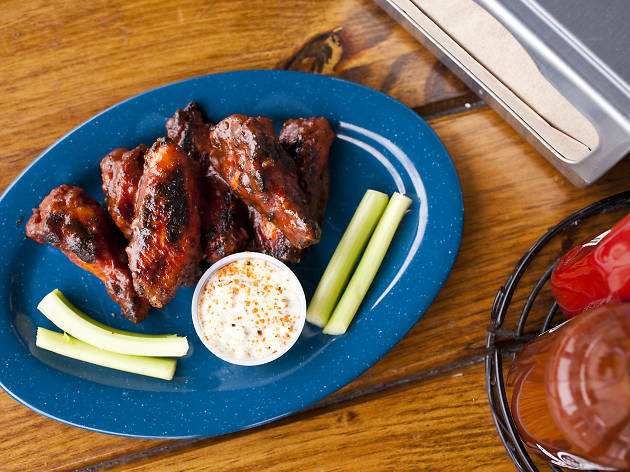 Perfectly salty-sour pickles and other crunchy bites are served while little ones peruse the appropriately-titled Junior Menu and choose from a selection of kiddie favorites like grilled cheese and chicken fingers. 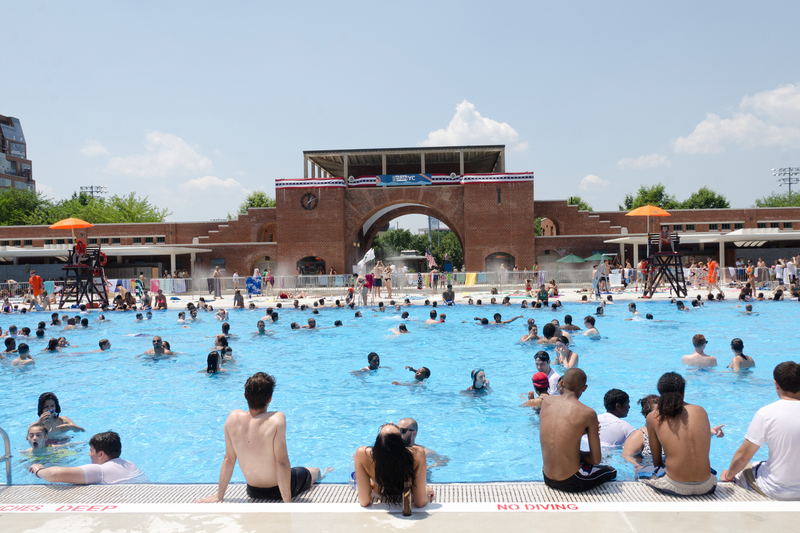 This Brooklyn park straddles the two hipster-fied nabes of Greenpoint and Williamsburg but continues to be a family favorite, too. There are baseball, football and soccer fields, dog runs, a track, tennis courts, a skate park and more. 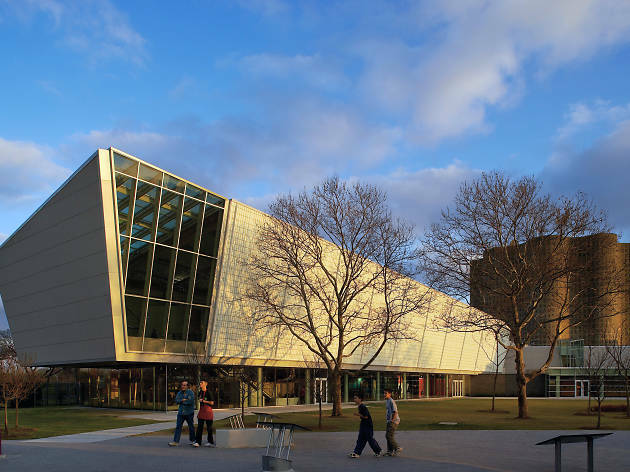 The space operates year-round with movies under the stars and a dip in the pool during summer months and a round of ice skating in the winter. Goats, sheep and ponies—oh my! Families don’t have to travel far from the city to get a tranquil agrarian experience. At the Queens County Farm Museum, the the oldest continually farmed site in the state, barnyard animals are available for feeding, petting and your “oohs” and “ahs,” too. Explore the full 47-acres on a tractor-pulled hay ride, or stick to the gardens. Come harvest season there’s a special corn maze and activities such as pumpkin picking and a haunted house. Most of the amazing original sculptures, paintings and multimedia creations at the Children’s Museum of the Arts are made fresh everyday by the artists...which are actually the visitors. 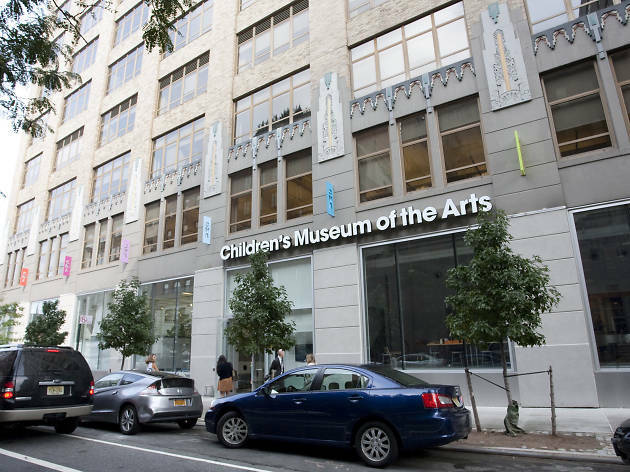 Little ones from across the city and around the world convene at this kid’s museum to let their imaginations and creativity run free as they take part in the daily workshops and studio activities. 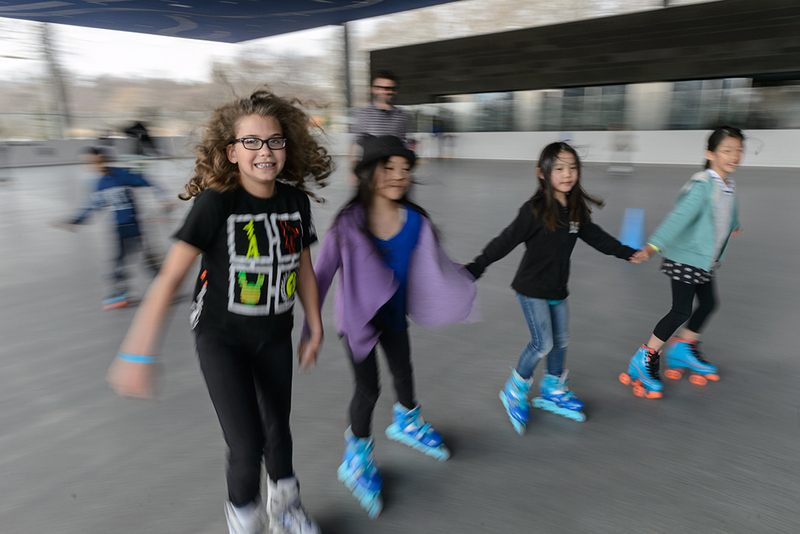 Prospect Park’s all-in-one recreation center effortlessly transitions from an icy wonderland in winter to a summer-fun hot spot for Brooklyn families, whether it’s biking along the park’s shaded paths or gliding on the 16,000-square-foot roller rink. Rent equipment on-site and move at your own pace with the kids, or improve their skills in a roller-skating or roller-hockey class. 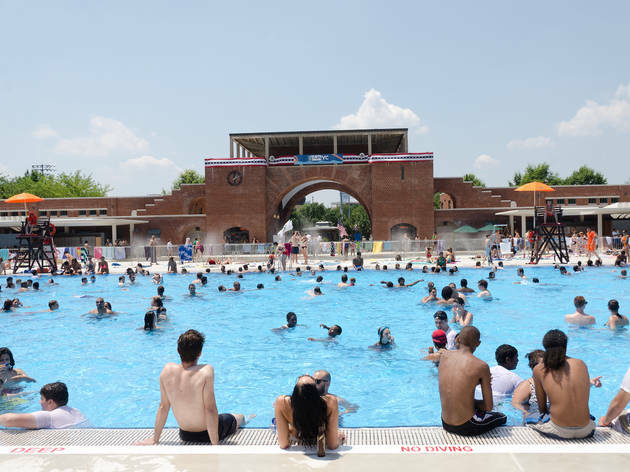 Pack a swimsuit, because you won’t be able to duck out without dashing through the 20 water jets of the LeFrak Center’s awesome Splash Pad feature (for those who are under 12). 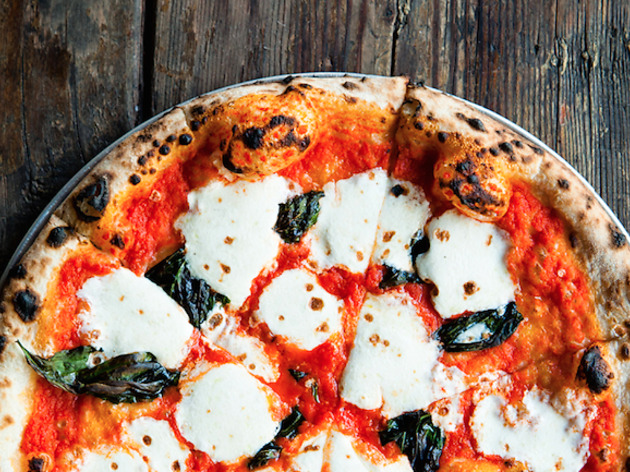 NYC foodies revel in the selections that abounds from Brooklyn’s hippest culinary experience. 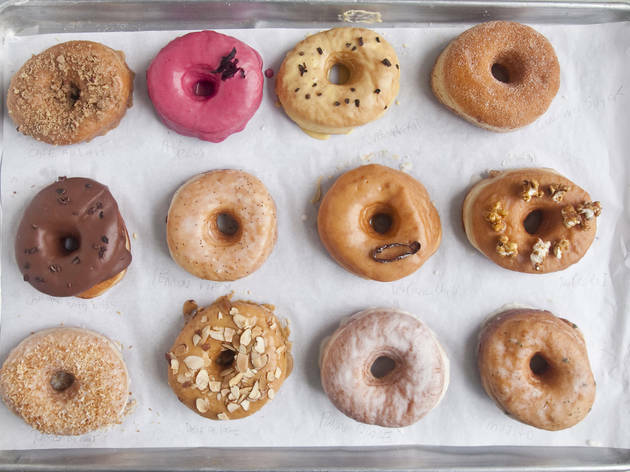 Make your way (on an empty stomach) to Williamsburg on Saturdays and Prospect Park on Sundays for a plethora of options that will appeal to all palates in your brood. 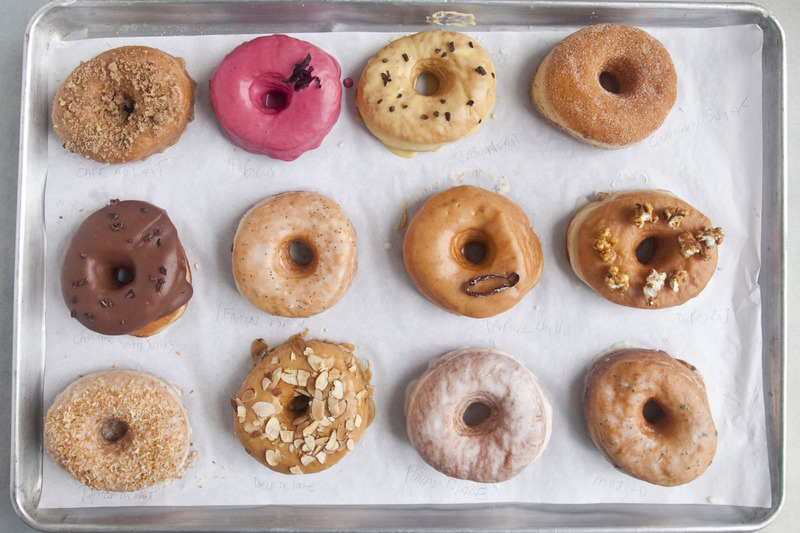 Previous vendors such as Big Mozz X DO, which serves up irresistible fried cookie dough, stole junior chefs’ hearts. However, a call for vendors is currently underway for the 2019 season, which will kick off in April. Who knows what’s in store next! 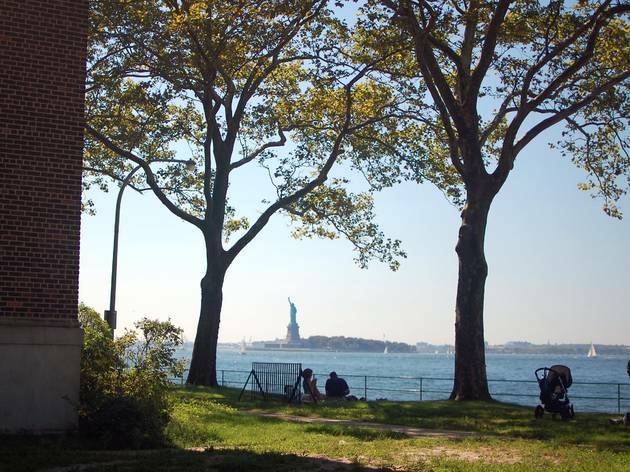 Beginning March 21, Pip's Island will make its grand return to NYC—this time, permanently. 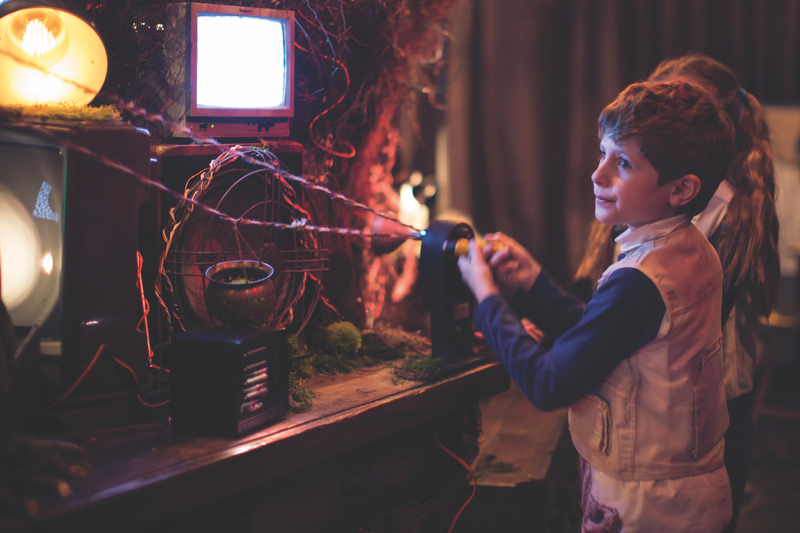 The kid-focused theater experience will include immersive sets, exploratory spaces and audiovisual features that'll have pint-sized visitors calling the shots (think of it as starring in a video game). 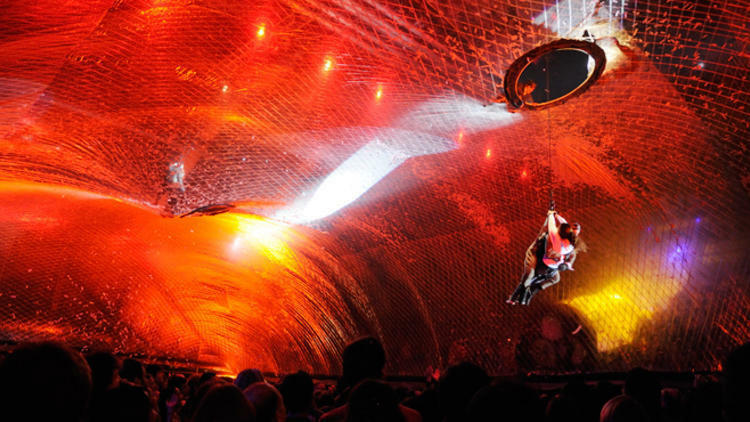 The chief creative officer describes it as "a special blend of the creative arts including interactive space design, performance art, music, animation, digital gadgetry and play—all brought together with seamless storytelling and audience engagement." 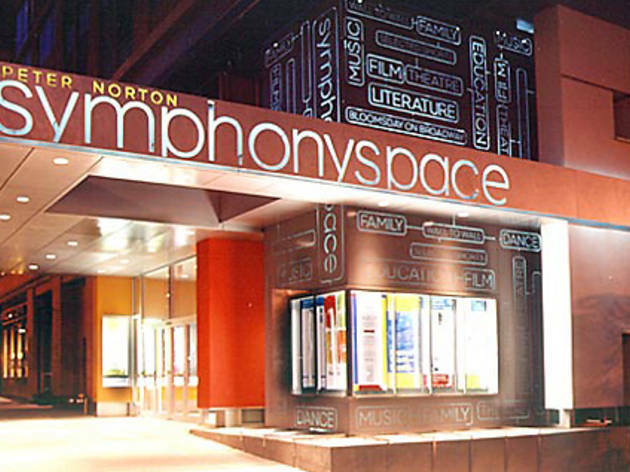 Although we're ready to take the kiddos ASAP, the venue doesn't open until the spring (previews begin March 11). All ages. 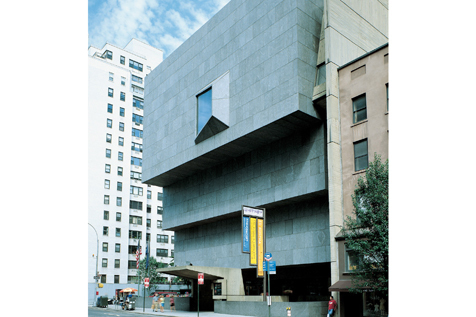 Art-loving parents and their babies (even fussy ones) can enjoy private tours of The Whitney’s most buzz-worthy exhibitions, led by Whitney Teaching Fellows and Ph.D. candidates. On Saturdays and Sundays, kids can even use inspiration from the galleries to make a masterpiece during Open Studio For Families. 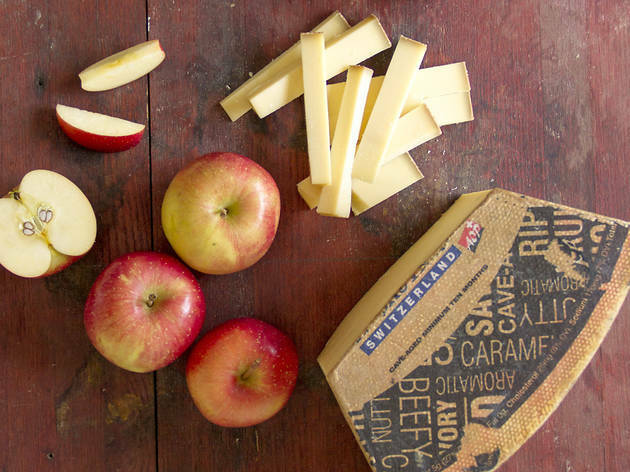 They say sweet dreams are made of cheese, and we’re not one to disagree. A bite out of the dairy selections at Murray’s Cheese—which seems like a catalogue— is nothing short of spectacular and irresistible. Even better news? The shop just debuted a restaurant right next door, so you can shop and feast until your heart’s content. 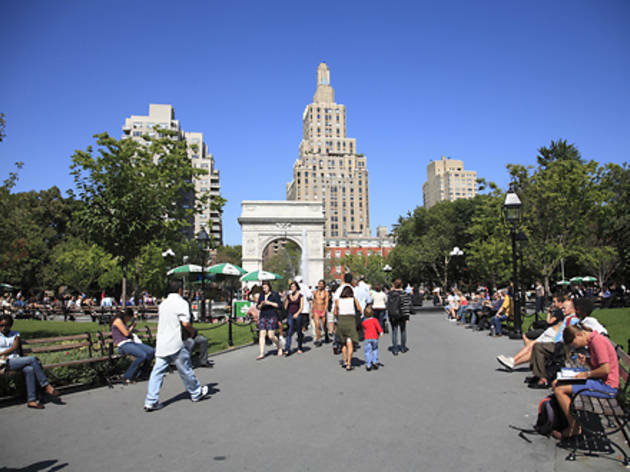 You can’t beat the bustling Washington Square Park when it comes to people watching—plus some kind of performance is practically guaranteed on weekends. It’s not rare to see musician Colin Huggins wheeling his baby-grand piano right in the square to play classical tunes beneath the majestic arch (a replica of Paris’ Arc de Triomphe). Dress the little ones in their swimmies—it will be difficult to keep them out of the fountain on hot days! We’re all familiar with the bouncy brown sparrows, speckled European starlings and the smattering (or should we say, splattering) of pigeons that live on every block. But look—and listen—a little closer, and you could meet some more unknown city dwellers such as glorious red Northern Cardinals, shimmering Blue Jays and orange-chested American Robins. 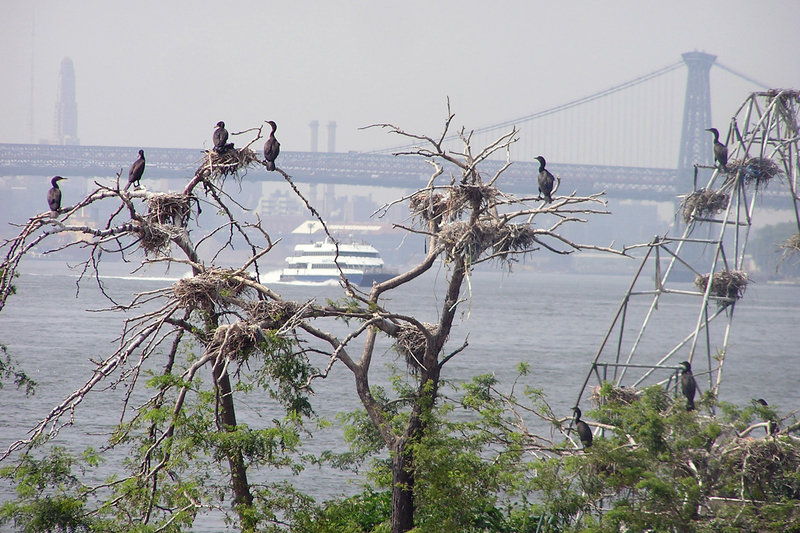 Nature-nurturing organization New York City Audubon protects the birds, wildlife and their natural habitats in our area. 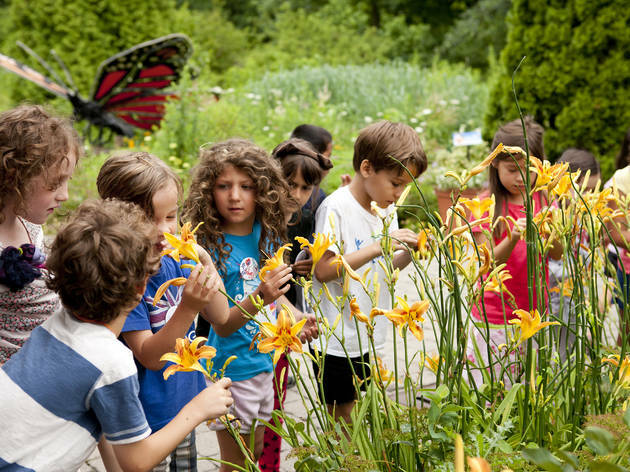 The venue’s fun workshops and school programs teach children how to identify their feathered friends and care for the environment, too. 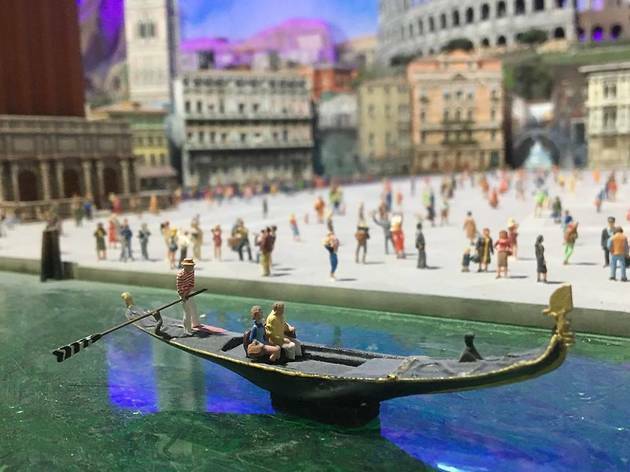 Times Square’s massive attraction is also its tiniest thanks to this awesome 50,000-square-foot space dedicated to miniatures. The $40 million project brings hundreds of itty-bitty trains, planes and automobiles (and wagons!) 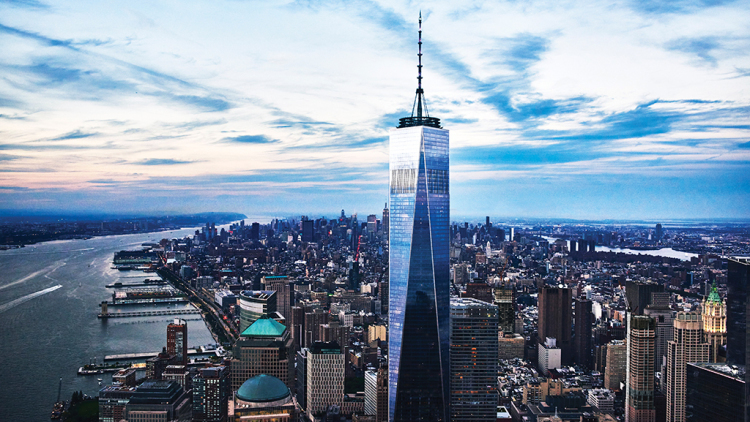 zipping through scaled down landmarks from around the world, including New York’s very own Times Square. This isn’t just an impressive diorama; each ticket holder is given a high-tech key (that looks like a skeleton key) that reveals special secrets about the locations. Folks interested in seeing how the lights and motors work can also look into the control room and, for an additional fee, can make themselves mini with the special 3D printer. NYC is definitely a concrete jungle, but don’t be fooled—there are plenty of ways to keep active, even if backyards are few and far between. 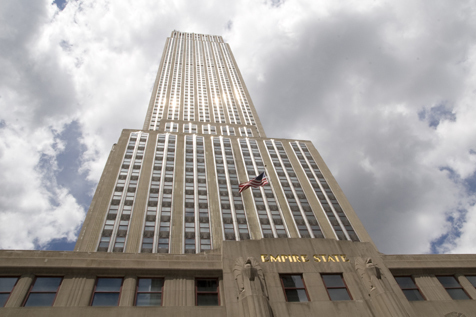 You can take on new heights without venturing to the top floor of a skyscraper. 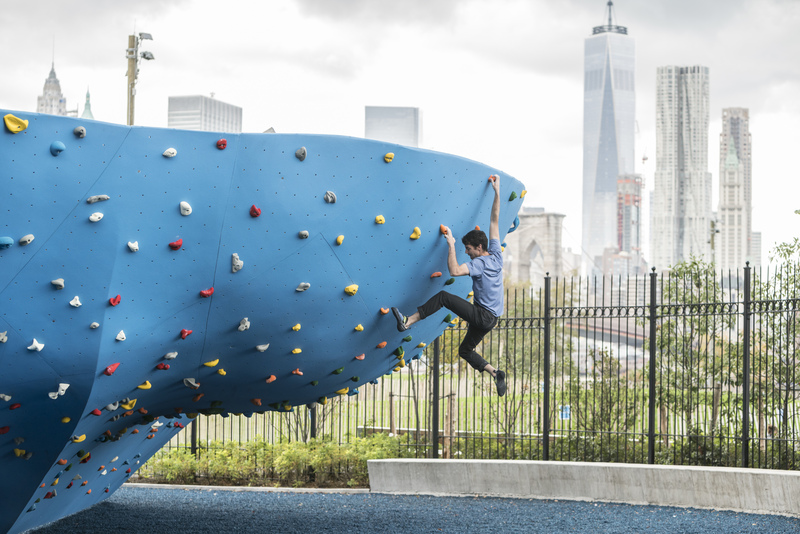 Rock climbing spots throughout the five boroughs, such as Brooklyn Boulders, offer a chance for participants of all ages to master their moves while making their way to the top. 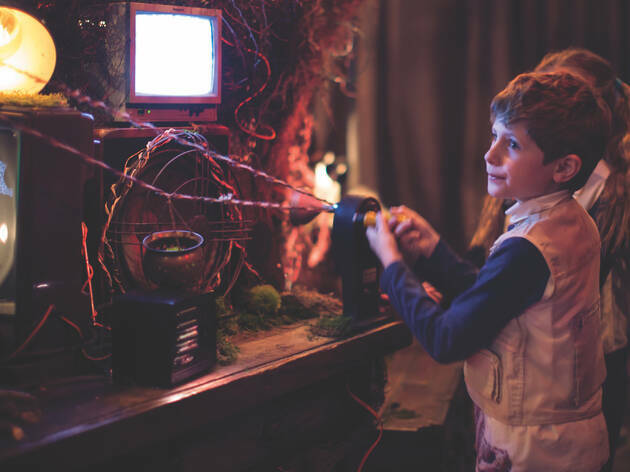 Classes and party options are available at most venues, so take a gander and see what suits your little adventurer’s needs. 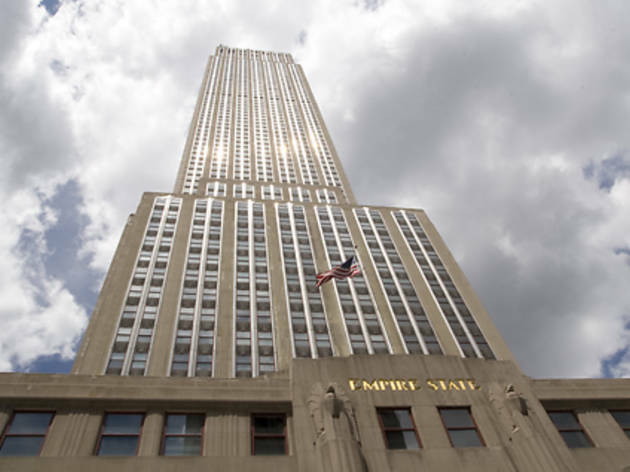 As the tallest building in the world—well, at least it took the title when it was completed in 1931—the Empire State Building still offers arguably the best view of Manhattan. 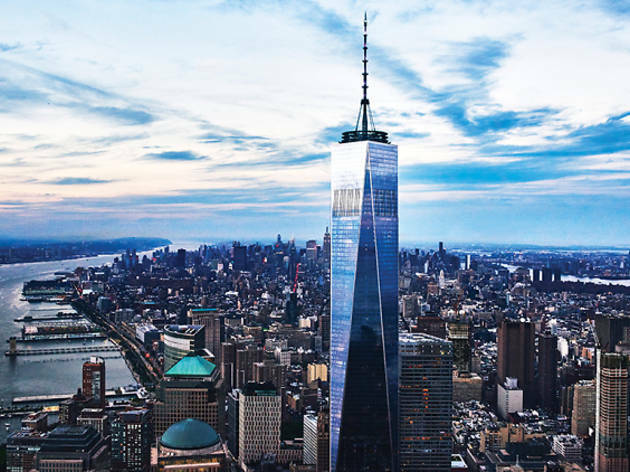 Take your time enjoying the scene from the 86th floor, the open-air observatory and the enclosed rotunda on the 102nd floor, where kids will be shocked to learn they’re standing nearly a quarter of a mile above the streets below. 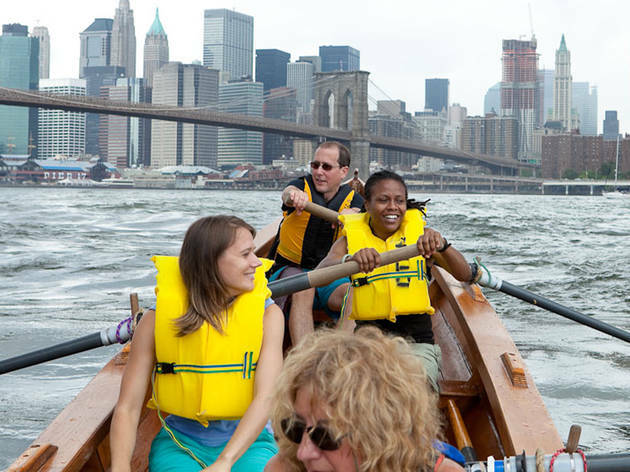 One of the great joys of summer in the city is boating on the East River with the Manhattan skyline as your backdrop. 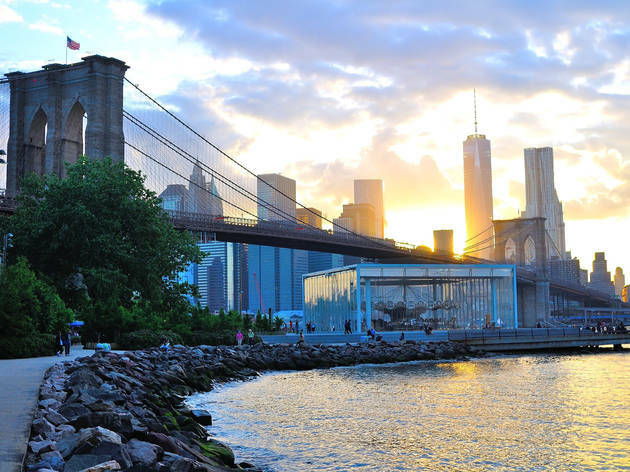 Every year, from May until August, Brooklyn Bridge Park offers free (free!) kayaking—just head to the boathouse between Piers 1 and 2 for a 20-minute session of paddling bliss. All the equipment is provided, there are single and double kayaks—some doubles have room for a small child to sit in the middle—lifejackets are mandatory and you should know you’ll probably get a little wet, so wear swim clothes or something that dries quickly. 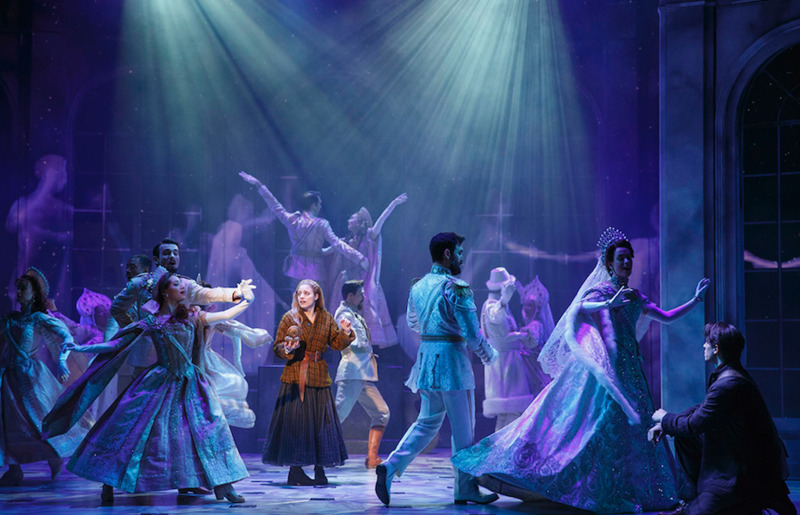 Seeing a first-rate show on the Great White Way is a rite of passage for every little New Yorker. 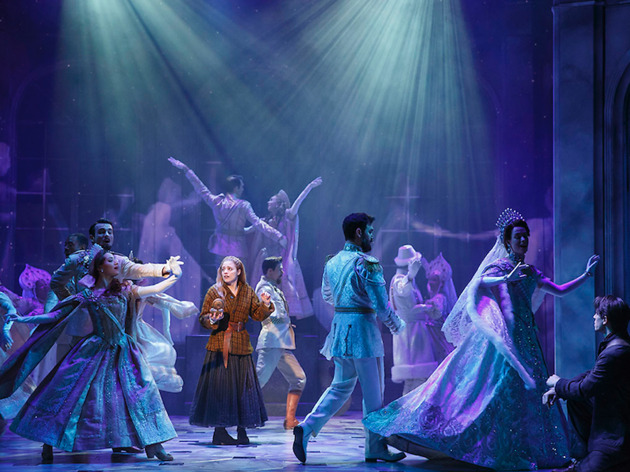 When the lights go down and the curtains go up, suddenly kids are fully immersed in onstage make-believe and the magic happens before their very eyes. There are shows to suit all tastes, but performances often run two hours or more, so wait until your little wrigglers can sit still long enough to enjoy the show without distracting others. Be sure to check out what’s on offer at the TKTS booths—you may get lucky and score a discount! 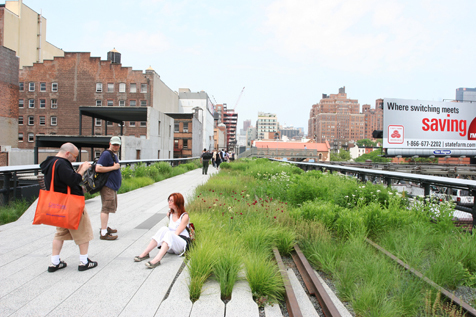 People have the common misconception that NYC is lacking greenspace. Clearly, these people have not made a visit to the Edible Academy at the New York Botanical Garden. The new greenspace, which opened in 2018 after extensive renovations, has one goal: to get kids in the dirt. 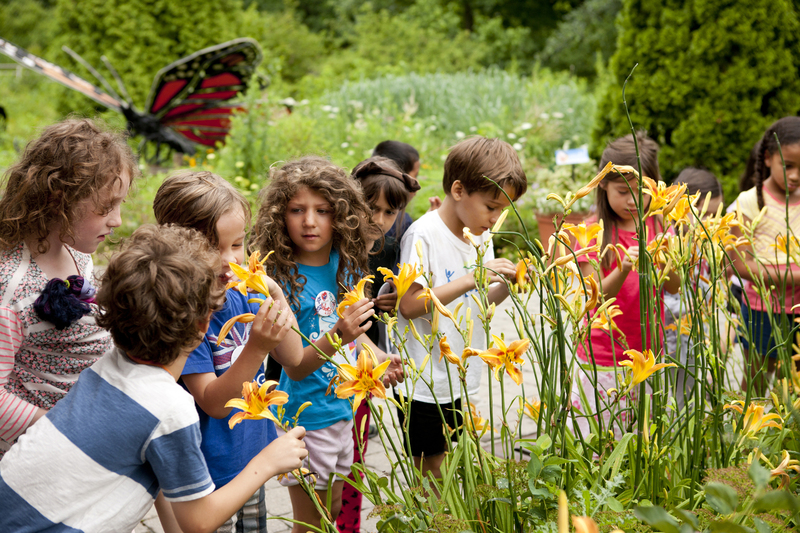 Thanks to classrooms, lecture spaces, gardens and other facilities, the Edible Academy immerses little New Yorkers in all-things botany, nutrition and nature. 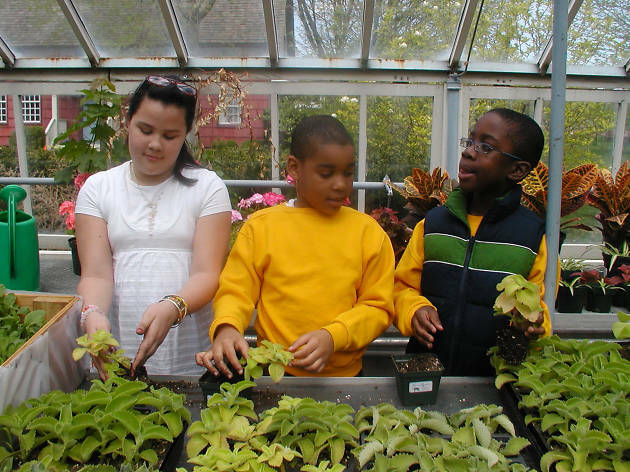 Head to the Bronx to explore the classes, camps and cool event offerings in store for the Edible Academy in 2019. 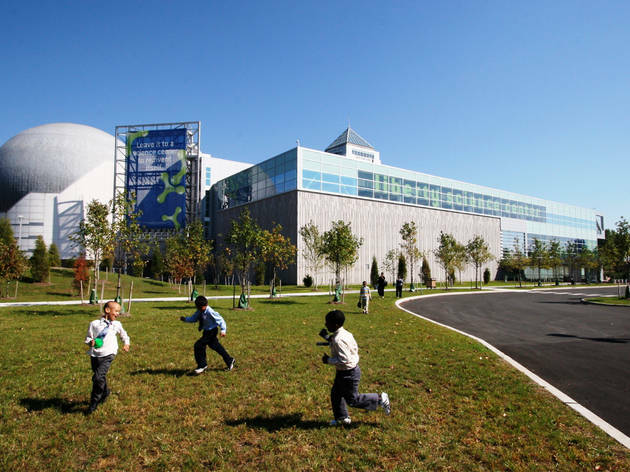 A quick trip across the river is well worth it when you arrive at the Liberty Science Center. 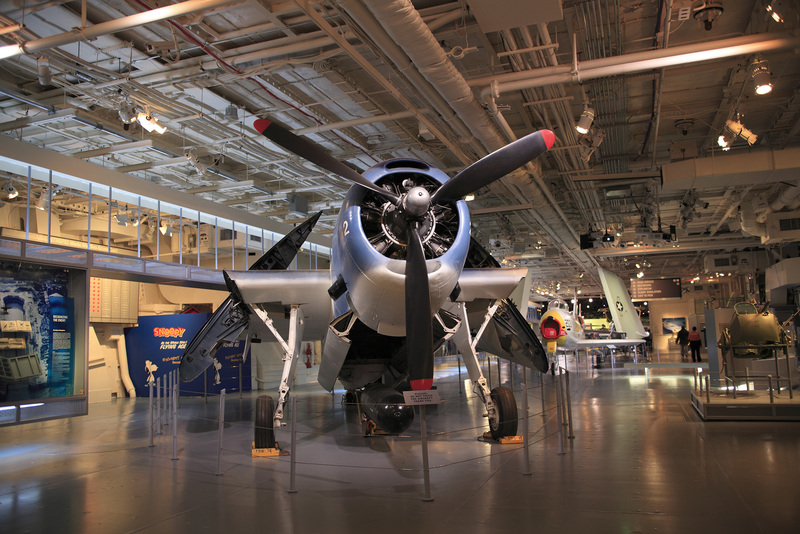 New Jersey’s four-floor attraction offers plenty of exciting, hands-on experiences for curious minds. The newly opened Weston Family Lab is a deep dive into earth and space exploration,“One World, One Sky: Big Bird’s Adventure” planetarium show gives little ones a greater understanding of the Cosmos and “The International Exhibit of Sherlock Holmes” (on view until May 27) will keep kids on their toes until they crack the case. 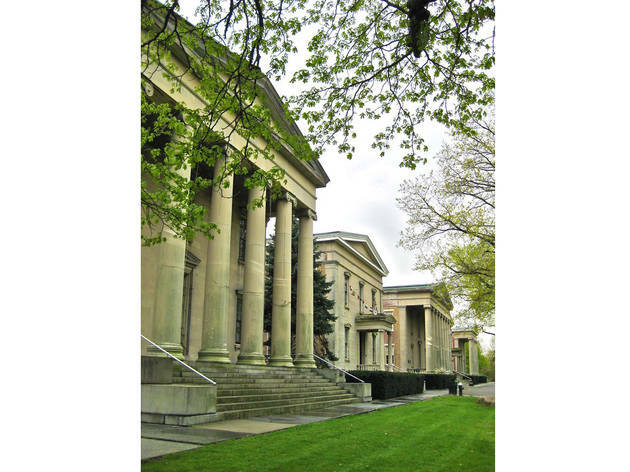 There’s a variety of subjects that all ages will enjoy at this entertaining venue. A grand celebration of Italian culture, Eataly’s expansive market place-restaurant hybrid delights all those who pass through its doors. From produce to pasta and cured meats to cappuccino, each section of the space offers a little something different, so there are plenty of options to satisfy everyone in your brood. Kids will definitely want to take a bite out of the Nutella Bar (and understandably so), but don’t forget to expand their palettes with delicious dishes like lo spaghetto al pomodoro (plus if you don’t like it, Eataly gives it to you for free, which is a perfect situation for parents of picky eaters). 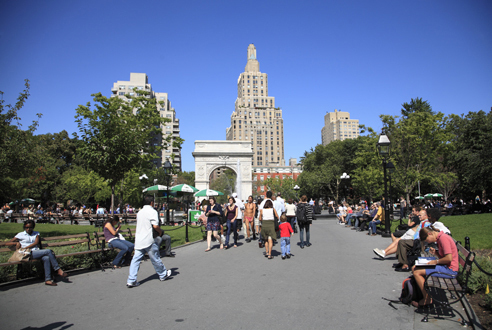 Make sure to explore the classes and events taking place at the Flatiron hotspot. Sounds bellissimo! 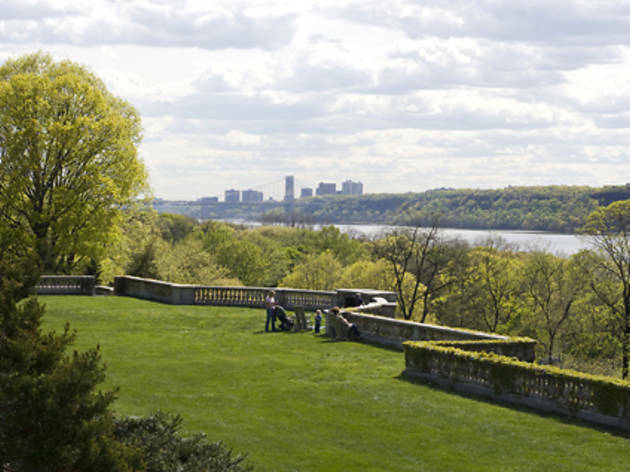 Yes, 28 acres of gorgeous greenery does exist in the Bronx—and we’re not talking about the New York Botanical Garden or the Bronx Zoo. This 19th-century estate is home to a historic mansion and public woodlands perfect for getting lost in—or better yet, being led through on a nature walk. 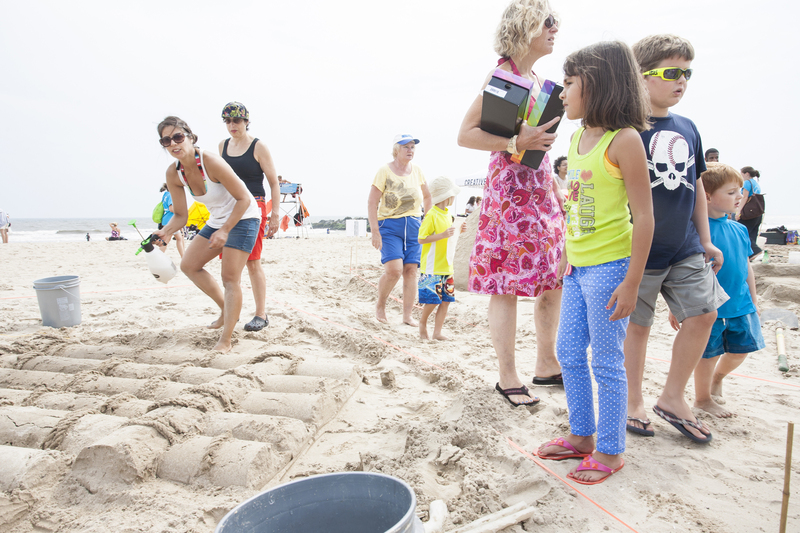 Be sure to check the event schedule before visiting (chances are there’s an art project or family festival going on). 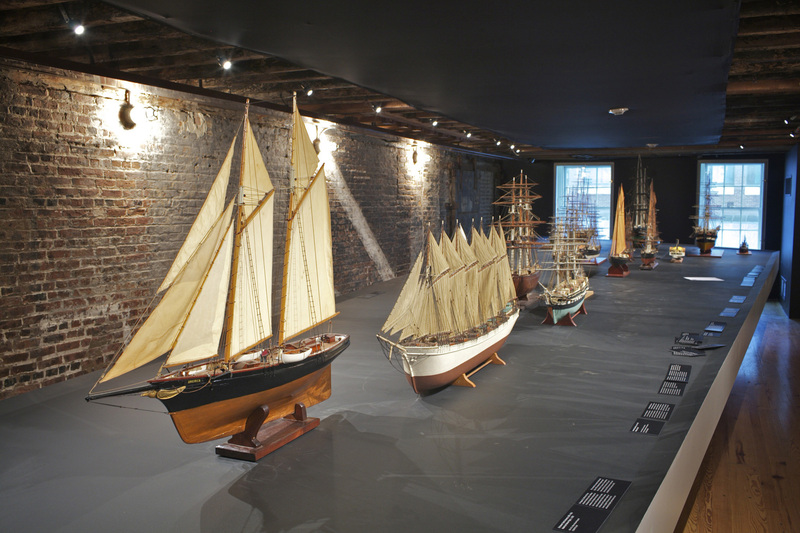 If you manage to wake the kids up early enough on Saturdays, it’s free to enter before noon. Thinking of a career in espionage? 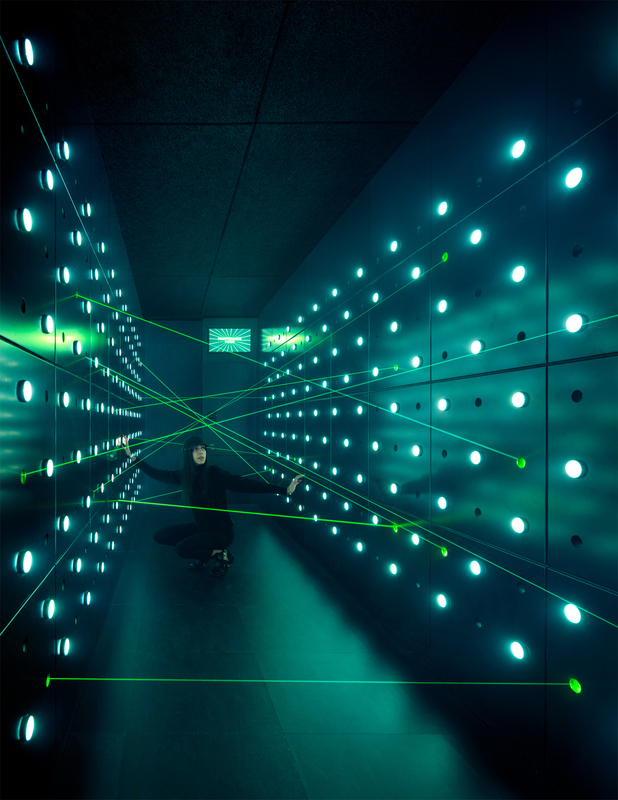 Test your skills at Spyscape in NYC, the interactive Times Square exhibit that lets visitors uncover the truth with lie detectors, put their flexibility to work in a room full of laser beams and learn about spies like Alan Turing, who cracked the Enigma code. See you there...or will we? 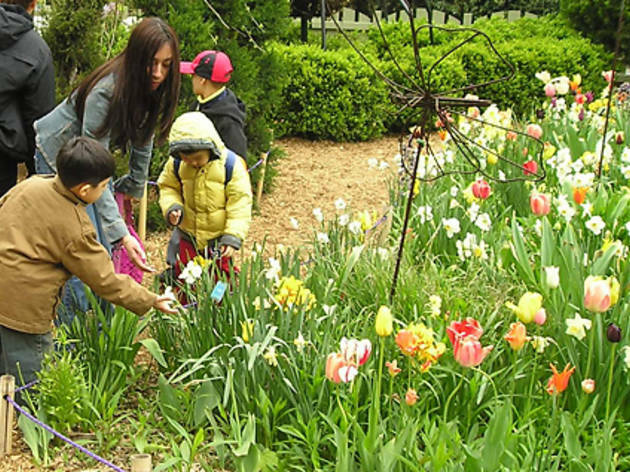 Whether your toddlers loves getting their hands dirty with a gardening class or your book-loving big kids want to see a classic setting come to life in Snug Harbor’s maze-like Connie Gretz Secret Garden (which was inspired by Frances Hodgson Burnett’s classic novel), New York has a children’s garden for your family. 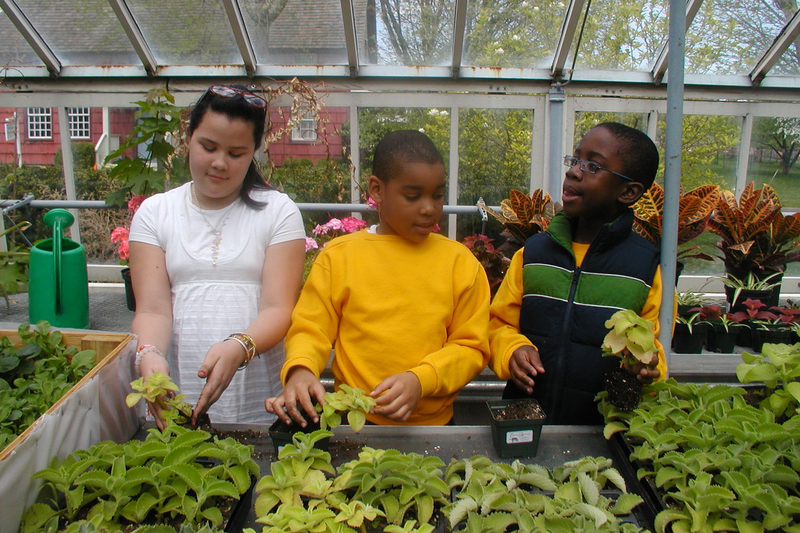 Young McDonald’s can sing E-I-E-I-O at urban farming co-operative South Brooklyn Children’s Garden, where they’ll frolic among the strawberry patch and herb box or they can enjoy a leisurely afternoon by the koi pond and under the natural shade at Jefferson Market Garden. 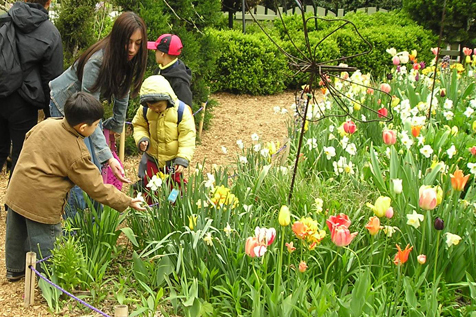 Should you find your way to the New York Botanical Garden’s 250-acres, kids will find activities perfect for them including green-thumb workshops. When the weather isn’t cooperating and a trip to Coney Island isn’t in the cards, bring the fun indoors to Dave & Buster’s. 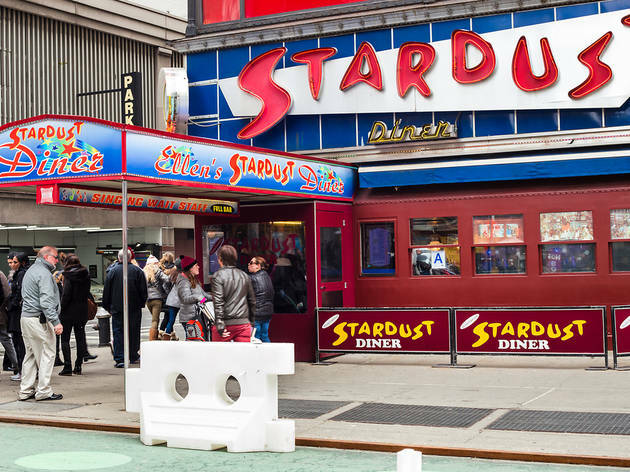 The Times Square arcade offers something for everyone in the family—bowling, shuffleboard, virtual reality, Dace Dance Revolution and plenty of snacks to help you refuel when you are in need of a pick-me-up. 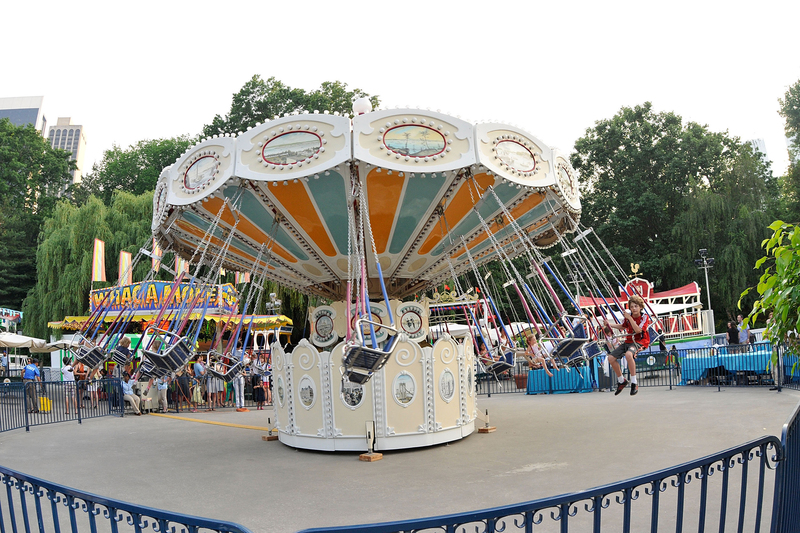 Kids and adults will be equally enamored with the fun offerings. Make sure to give the games your all—cool prizes are at stake! 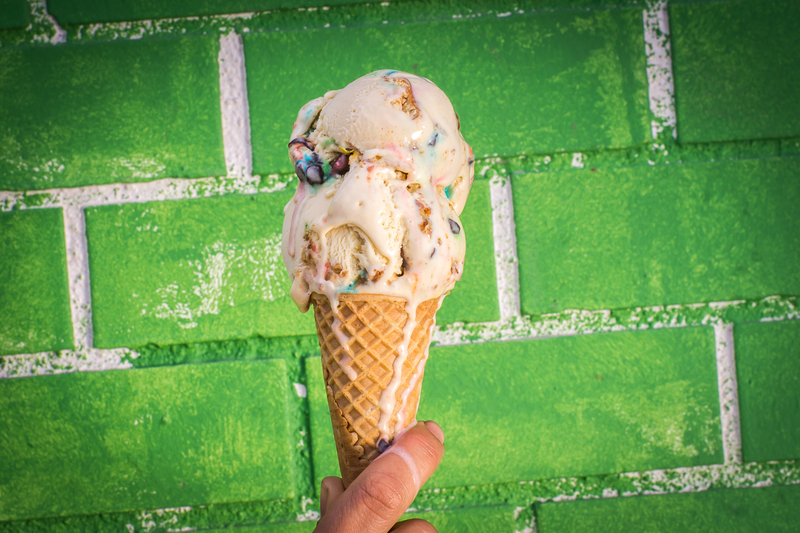 Ample Hills is on point with unique kid-pleasing favorites like Ooey Gooey Butter Cake, Chocolate Milk and Cookies, The Munchies and Snap, Mallow and Pop—it also doesn’t hurt that there are great flavors for grownups like Salted Crack Caramel, Butter Pecan Brittle and Mexican Hot Chocolate. 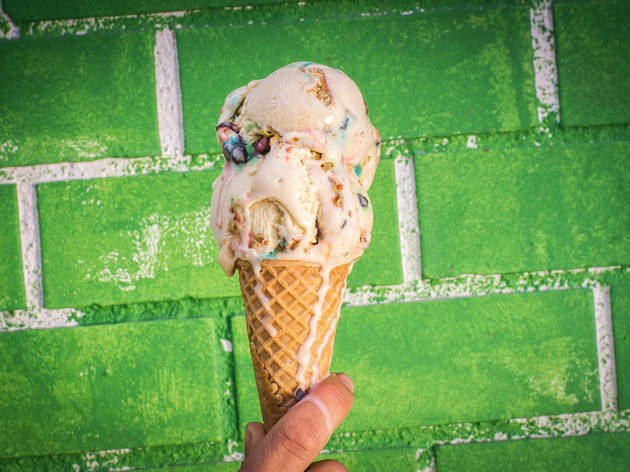 The Gowanus location boasts a roof deck complete with colorful chairs, super cute murals, a stationary bike kids can ride to help make ice cream and a build-your-own-sundae option with whipped cream, brownie, sprinkles and your ice cream of choice. 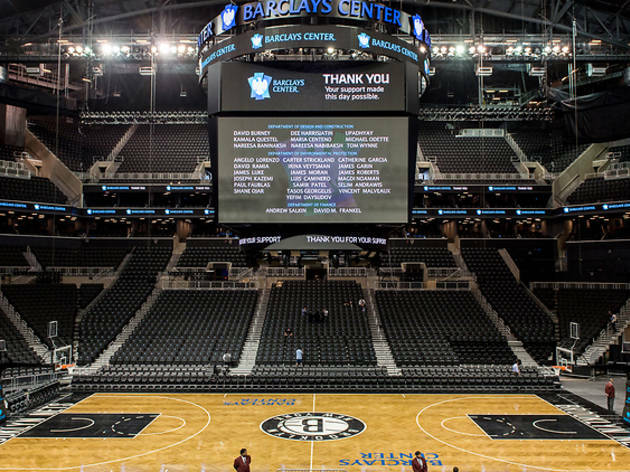 Barclays is home to many a fantastic thing, but one thing you MUST do there is catch a Brooklyn Nets home game. Even if you grab a seat in the nosebleeds, big screens give you access to all you’ll want to see. 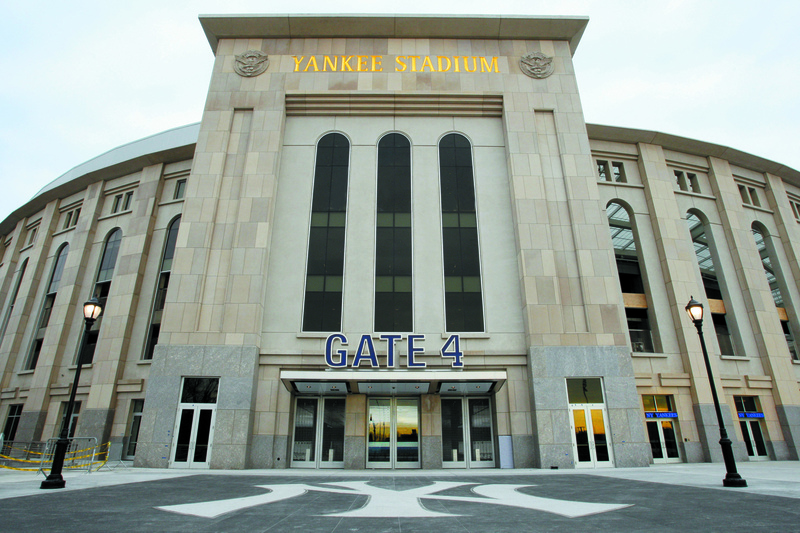 The kiddos will love the halftime shows with giveaways, energetic performances by the kids-only dance team (Brooklyn Nets Kids) and traditional sports arena fair available throughout Barclays—though we prefer walking across the street to Shake Shack. 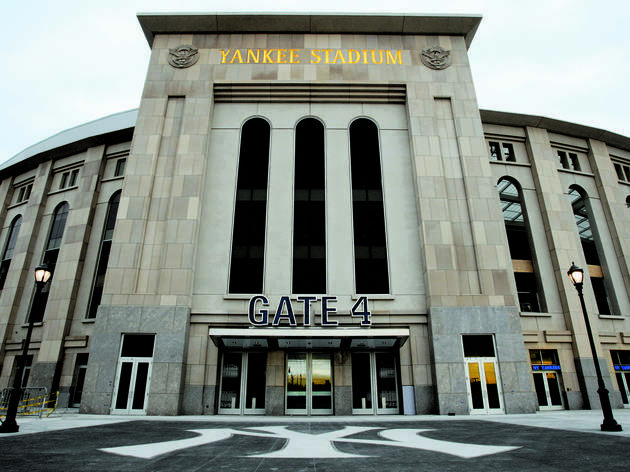 Your mini-mes will also be glad to know there’s a Brooklyn Nets gear shop not far from their seats in the stadium so they can walk away repping their favorite team. 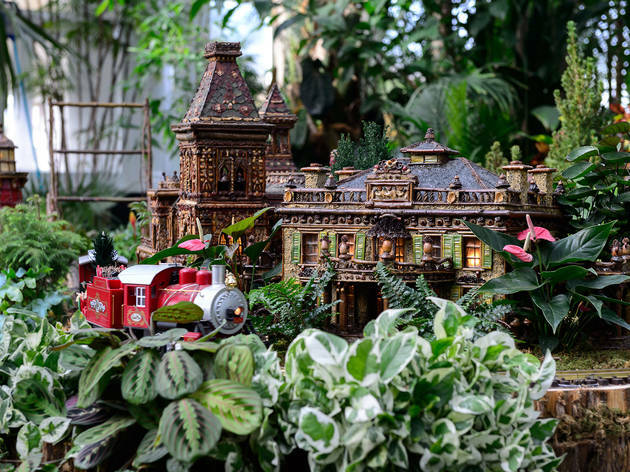 A 20-plus year tradition at the New York Botanical Garden, the Holiday Train Show is every curious kid’s dream. 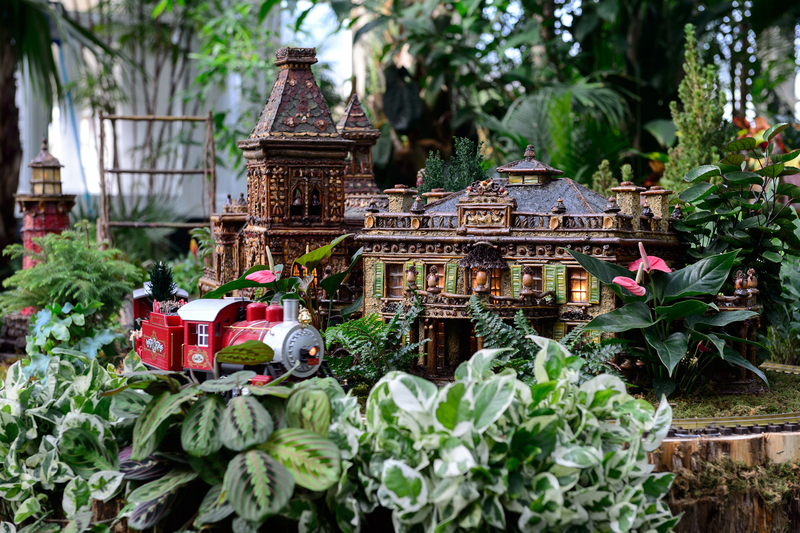 They’ll be eye level with over 150 iconic NYC buildings recreated with bark, leaves and other natural materials, seeing G-scale choo choo trains weave around the Statue of Liberty, Rockefeller Center and even cross the Brooklyn Bridge on a quarter-mile of track in the conservatory. While you’re there, visit the Garden’s other indoor exhibits or walk through portions of the 250-acre grounds. 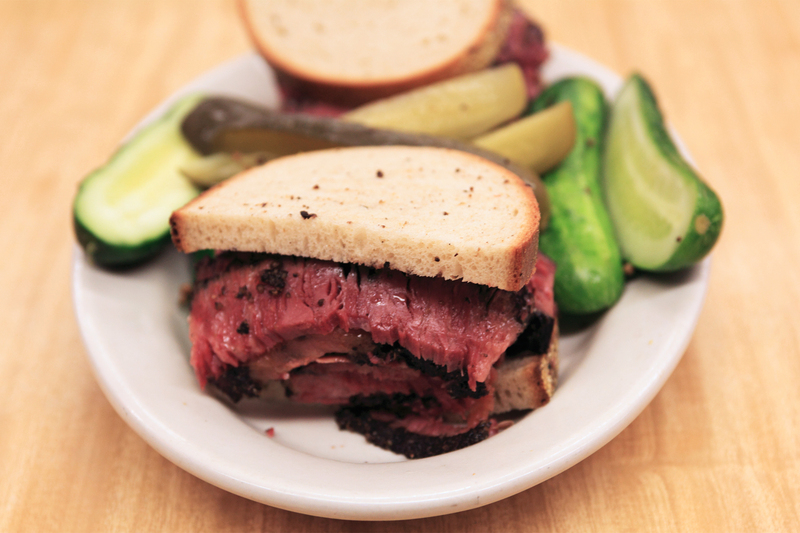 With origins as far back as 1888, Katz’ Deli is certainly worth a visit. 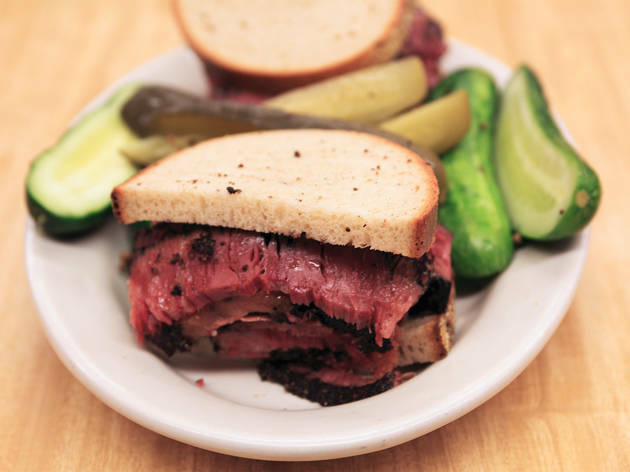 It’s been family-run for over 100 years, offering huge servings of delicious corned beef, pastrami and brisket (among others) all cooked to perfection. 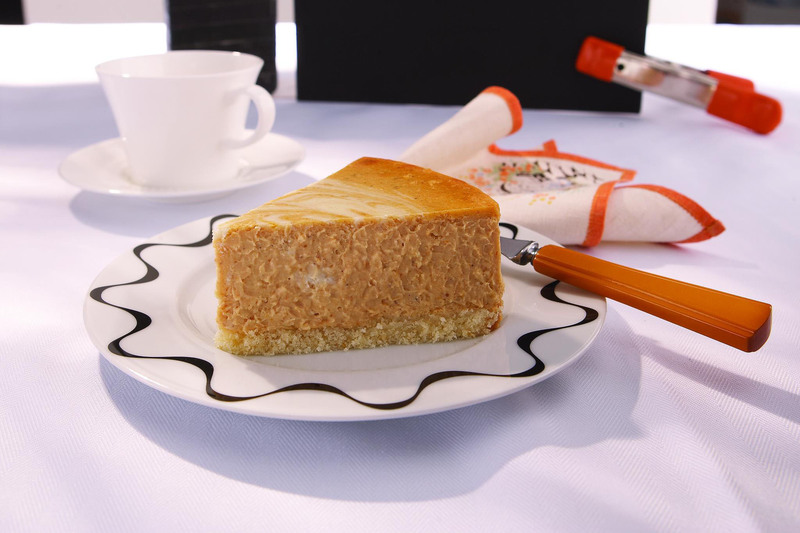 Kids will love the hot pastrami sandwich, matzo ball soup, knishes and mouth-watering New York cheesecake. The cool décor is also worth checking out—there are pictures, hand-written signs and other artifacts from famous guests. We’d suggest visiting in off-peak hours to minimize the wait. Pro tip: Parents, hold onto your family’s meal tickets! You won’t be able to leave without giving them to the cashier (and will face a hefty fine if you lose them). Built in 1880, this teeny structure is a beloved nod to the city’s history. 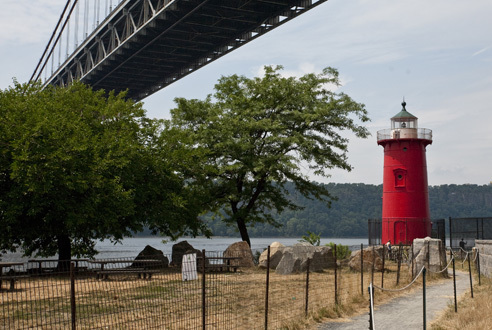 The lighthouse served as the inspiration for Hildegard H. Swift's 1942 children's book, The Little Red Lighthouse and the Great Gray Bridge, plus it plays host to an annual festival in late September. 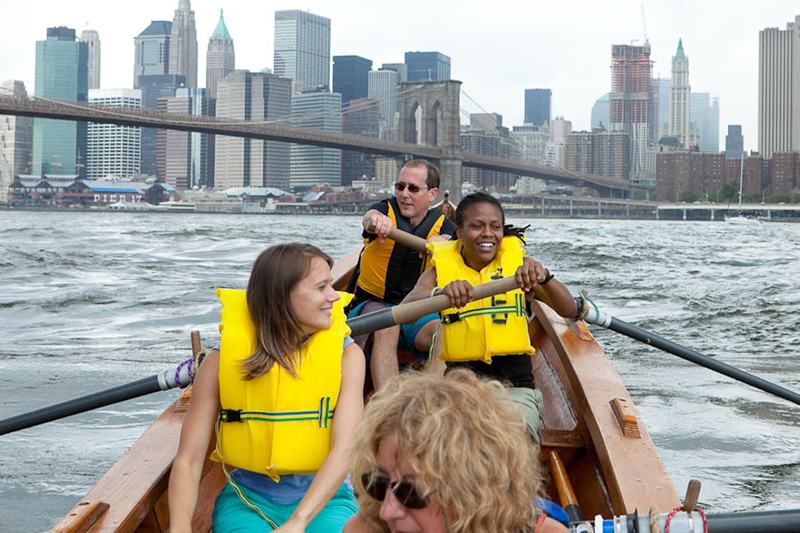 Believe it or not, hours of waterfront fun can be found right in Tribeca! 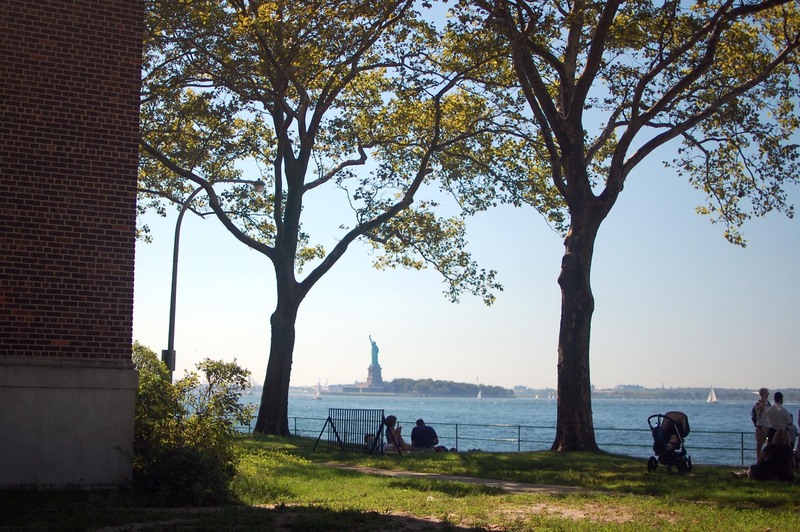 At Hudson River Park, athletic kiddos can tackle a massive playground and get their toes in the sand and play on regulation-size beach volleyball courts. If volleyball isn’t your game, take to the 18-hole mini golf course, complete with a pond, streams, footbridges, waterfalls, sand traps and even a cave. Young Masters-in-training will also love the Play Area outfitted with a sandbox, swings and water features. At this low-tech playhouse, kids will gladly cast phones and gadgets aside to see amazing handmade puppets in action. Founder Nicolas Coppola adapts classic tales for his marionettes to perform in the cozy theater (kids sit on rugs at the front, parents are on benches at the back). Families will be swept away by the artful scenery, lively music and intricate puppets as they take on a life of their own, moving across the stage as if by magic. 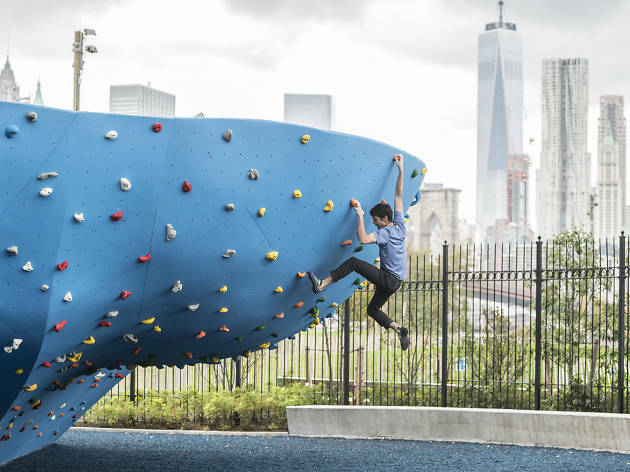 As much as kids can’t resist a journey down Billy Johnson Playground’s epic 45-foot slides, the weather in NYC isn’t always conducive to outdoor fun. But when you have awesome indoor playgrounds across the five boroughs, the adventure doesn’t have to be put on hold because of the forecast. 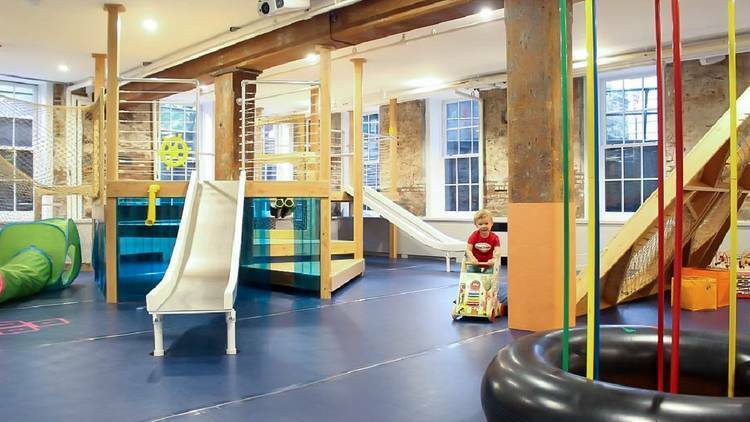 These venues sport cool jungle gyms, slides, bounce houses and so many other exciting features. 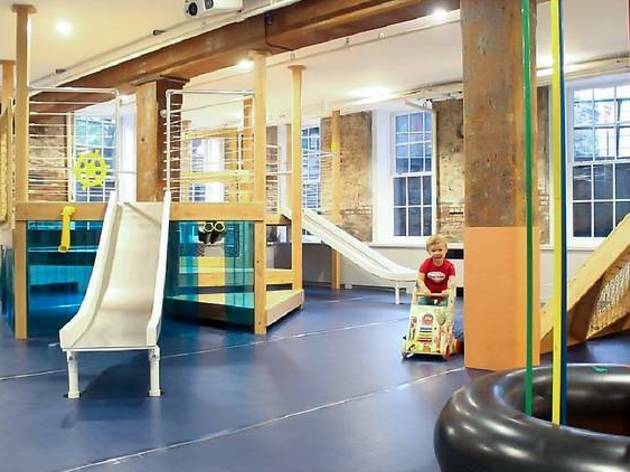 Whether you’re venturing in for a drop-in class or want to host your little one’s next birthday party at a super-cool kids’ play space, there’s a little something for all visitors. Parents aren’t left in the dust, either. Good Day Play Cafe is one of the many indoor playgrounds that has a recreational area for guardians to grab snacks and take a load off while their kiddos are running around. Sounds like a win-win to us! 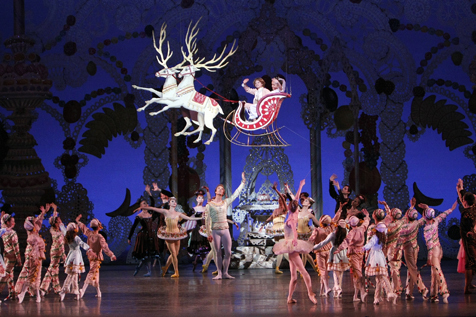 During the winter season, the New York City Ballet presents the crème de la crème of NYC holiday performances: company co-founder George Balanchine’s The Nutcracker. 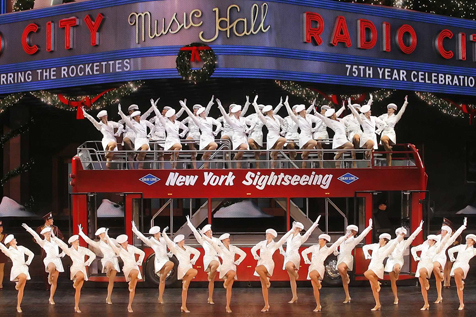 But the NYCB’s calendar is teeming with reasons why you and your child should book a ticket any time of the year. Check out this season’s lineup to see what you and your crew will enjoy! 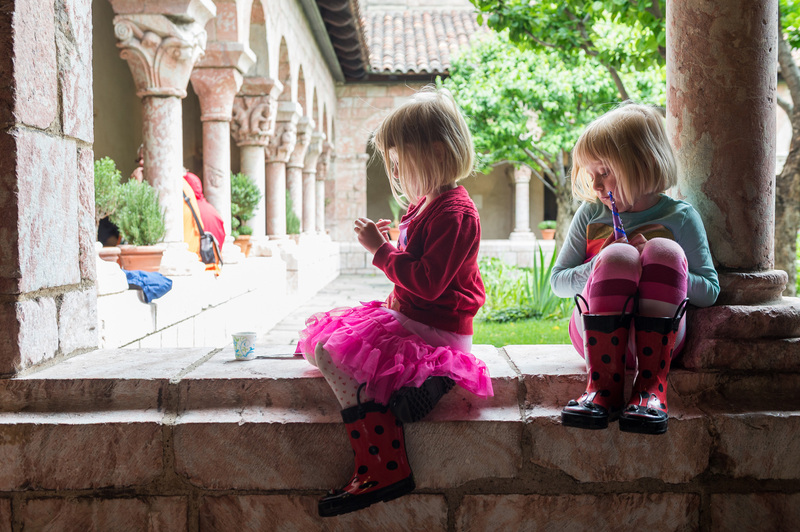 If you’ve never visited The Cloisters, now’s the time: It’s a must-see for the little ones. 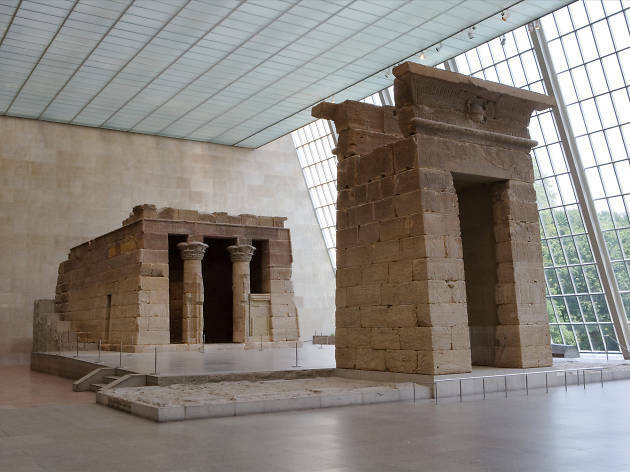 Devoted to the architecture of medieval Europe (and home to the ever-magical “Unicorn Tapestries”), this branch of the Metropolitan Museum of Art is full of incredible medieval artifacts and indoor-outdoor gardens. 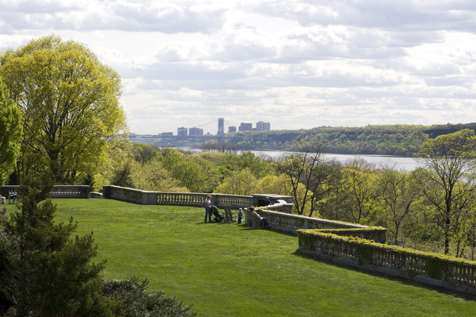 Pack a picnic lunch and set up camp on one of the grassy areas on your way to The Cloisters (food inside can get a bit pricey), then enter the museum to check out jewelry, sculptures, paintings, metalwork and furniture. 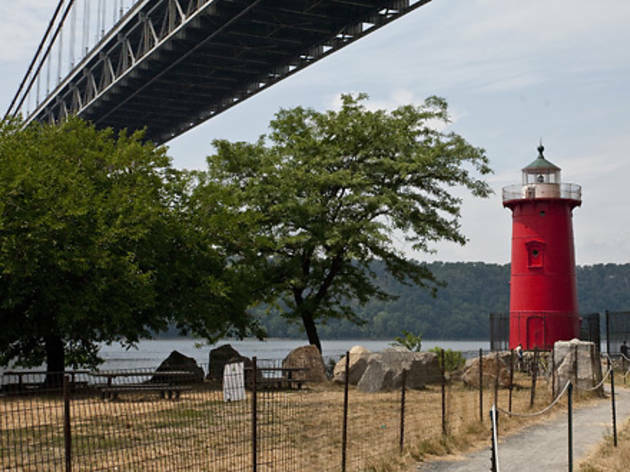 After, go for a walk overlooking the Hudson or hit the Fort Tryon Park playground with swings, playhouses and a splash pad with spray fountains as you meander back to the subway. 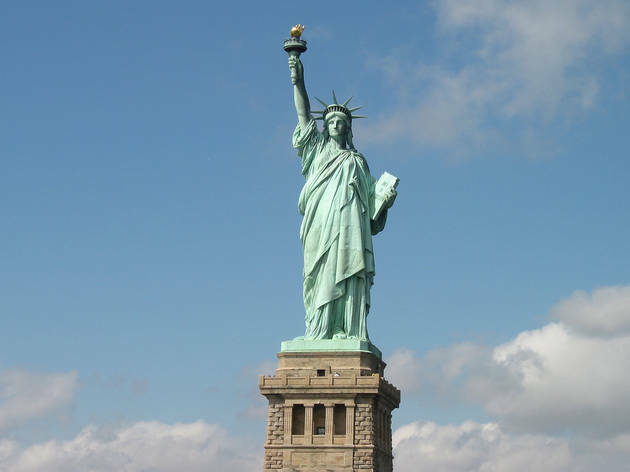 Imagine a boat cruise around the New York harbor with views of the Statue of Liberty, Governors Island, the Brooklyn Bridge and the Manhattan skyline—now try to think of one that’s free! 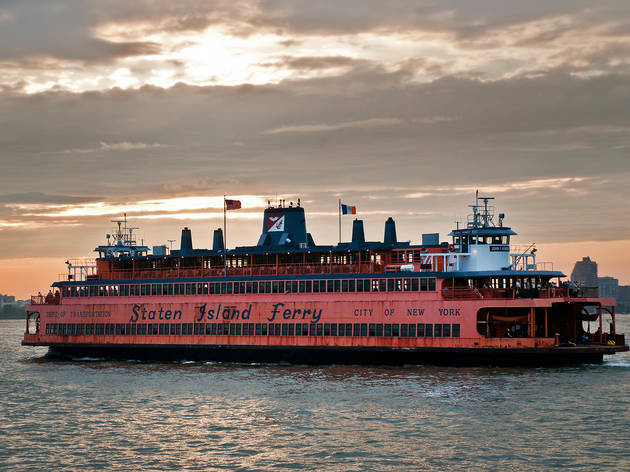 While many Staten Islanders use the boat simply as a way to get to work, this hour-long trip is also one of the best totally free things to do with kids in NYC. Even better? The frequent schedule makes the need for careful planning unnecessary. 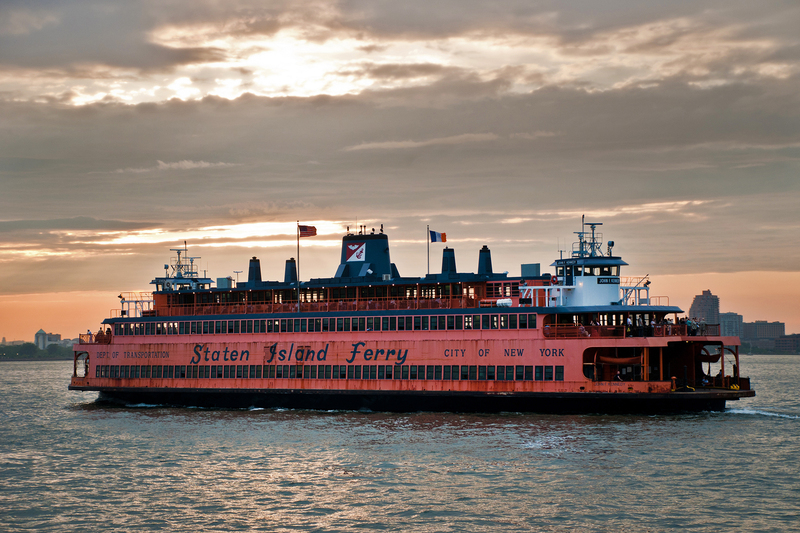 Depart from Whitehall Terminal in Manhattan or the St. George Ferry Terminal on Staten Island. 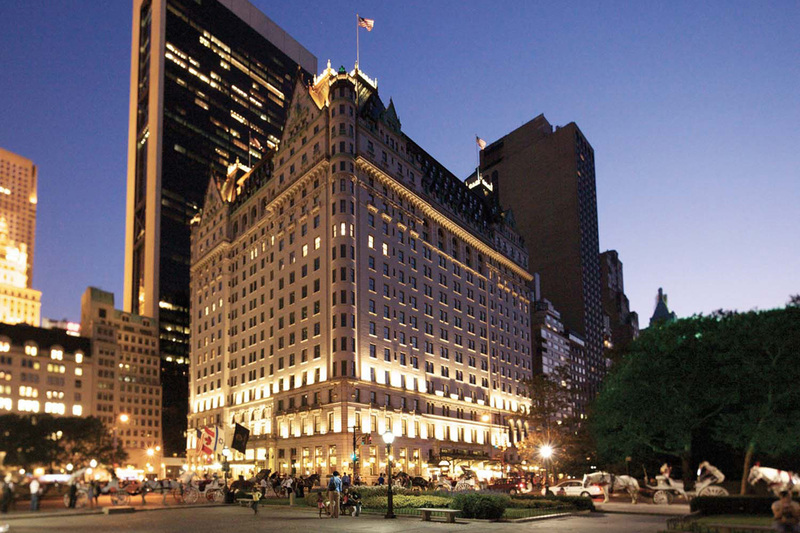 The closest thing to a palace in New York, this 1907 French Renaissance-style landmark reopened in spring 2008 after a two-year, $400 million renovation. Although 152 rooms were converted into private condo units, guests can still check into one of 282 elegantly appointed quarters with Louis XV-inspired furnishings and white-glove butler service. The opulent vibe extends to the bathrooms, which feature mosaic baths, 24-carat gold-plated sink fittings and even chandeliers—perhaps to make the foreign royals feel at home. Embracing the 21st century, the hotel recently equipped every room with an iPad. 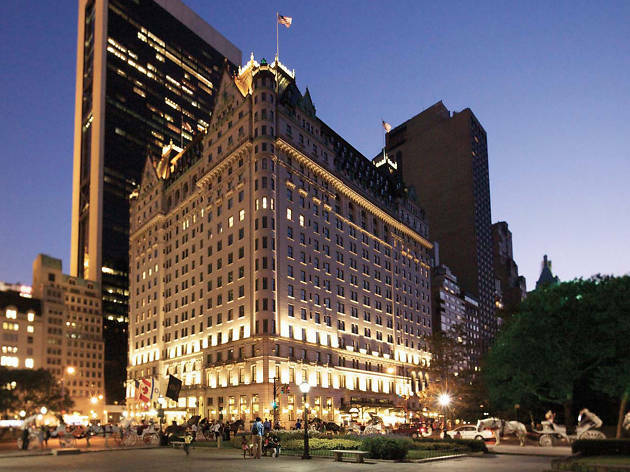 The property’s legendary public spaces—the Palm Court restaurant, the restored Oak Room and Oak Bar, and Grand Ballroom (the setting for Truman Capote’s famed Black and White Ball in 1966)—have been designated as landmarks and preserved for the public. 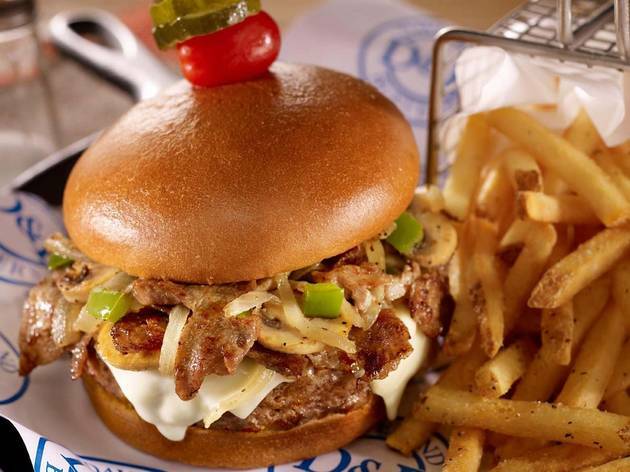 There’s also an upscale food hall conceived by celebrity chef Todd English. 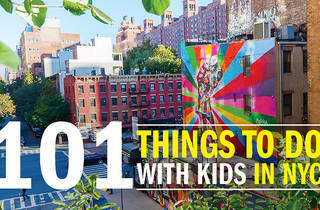 New York has plenty of kid-friendly brunch options…that is, if you know where to look! 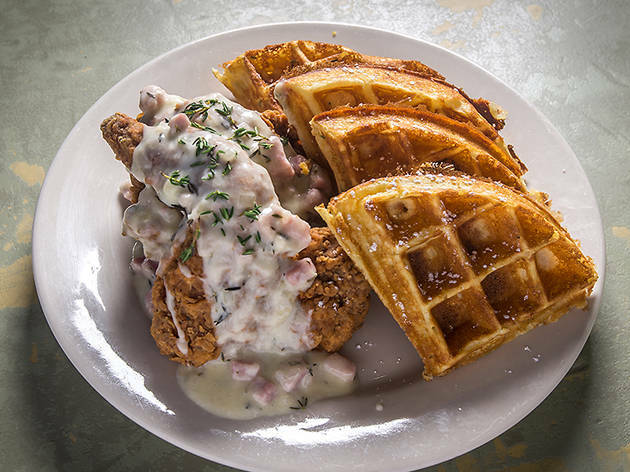 Whether your hungry munchkins are craving a heaping plate of syrup-drenched pancakes, a pick-your-own-ingredients omelet or a soul-warming plate of chicken and waffles, this city has it all. 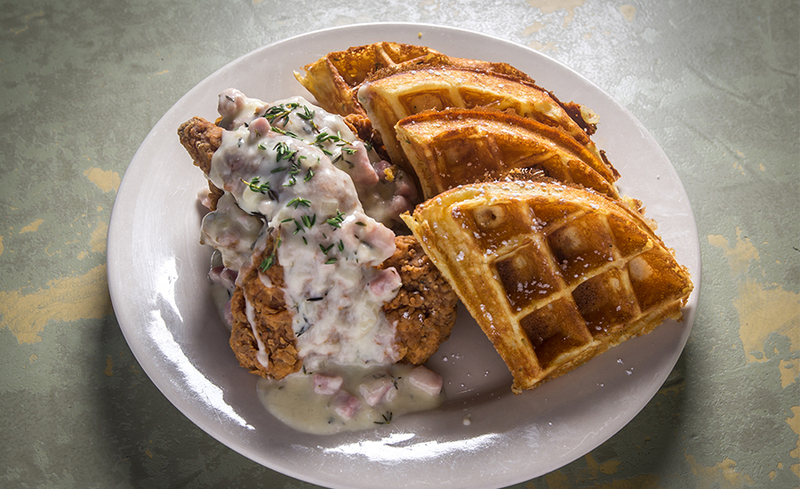 Check out Sweet Chick, Sarabeth’s and more to feed the belly before a full day of play. 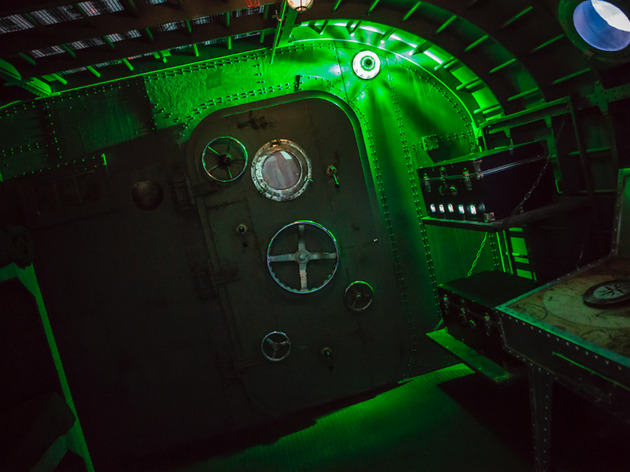 These fantastic escape rooms for kids offer themed challenges that no kid—even your teens—can resist! 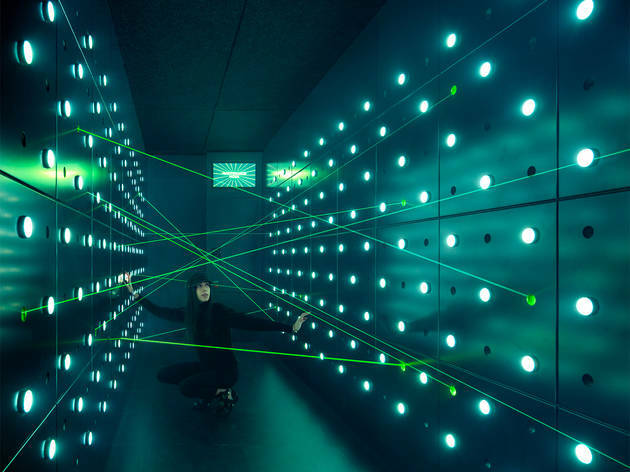 New York's biggest new family entertainment trend lets you strategize an escape from a thief's house, help a spaceship make its way home and even pretend to be Indiana Jones right here in the city. 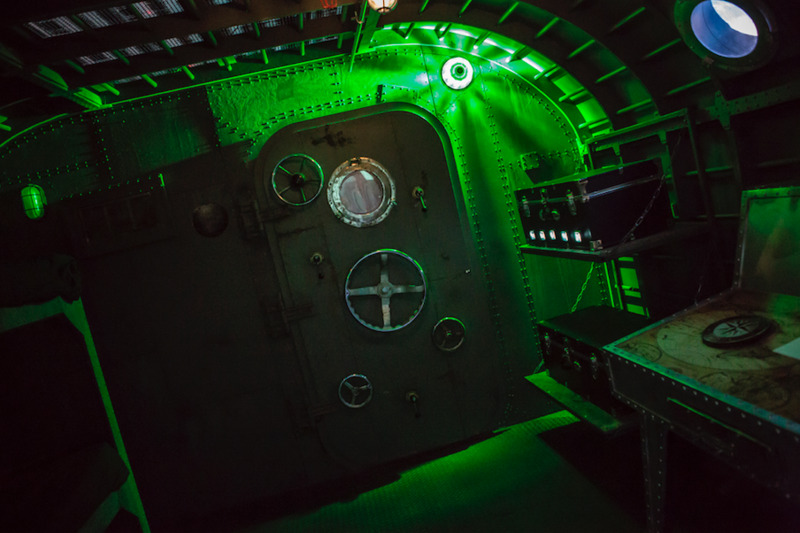 While some escape rooms are better suited for an older crowd, these picks are perfect for visitors of most ages. Read on for our recommendations! 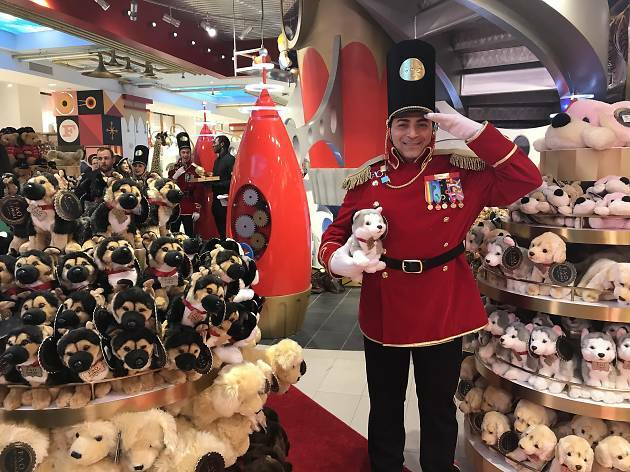 We've been crossing days off our calendars, waiting for the moment when FAO Schwarz promises we'll "return to wonder." Well NYC, wonder no more! The beloved toy store opened the doors to its new permanent home at 30 Rock, and the endless stacks of empty red shopping bags aren't going to fill themselves. Although there are a great deal of shelves to peruse, which are chock full of stuffed animals, Hatchimals, Barbies, STEAM toys and anything else you can imagine, the store boasts plenty of fun (and even free) interactive activities. Children can enjoy magic acts, science experiments, toy race cars, spa treatments and loads of other fun. New York is blessed with some of the finest dining options in the world, but sometimes even the most sophisticated families just want to play with their food. If the kids are Willy Wonka fans, Max Brenner Chocolate Bar and Restaurant is just the (golden) ticket: crazy pipes pump molten cocoa around the sweet-scented room while kitchen pumps out hot-chocolate shots, chocolate pizza and the aptly named Chocolate Mess Party (bring your own wet wipes). Got a houseful of LEGO Ninjago nuts? Ninja in Tribeca will have them jumping out of their skins as black-clad warriors leap out and perform magic tricks at your table in this dimly-lit, temple-like spot. Looking for something less intense? Dainty real-life tea parties are on the menu at American Girl Cafe, where you dine with dolls, or Alice’s Tea Cup, where the Mad Hatter, Cheshire Cat and White Rabbit adorn every wall. 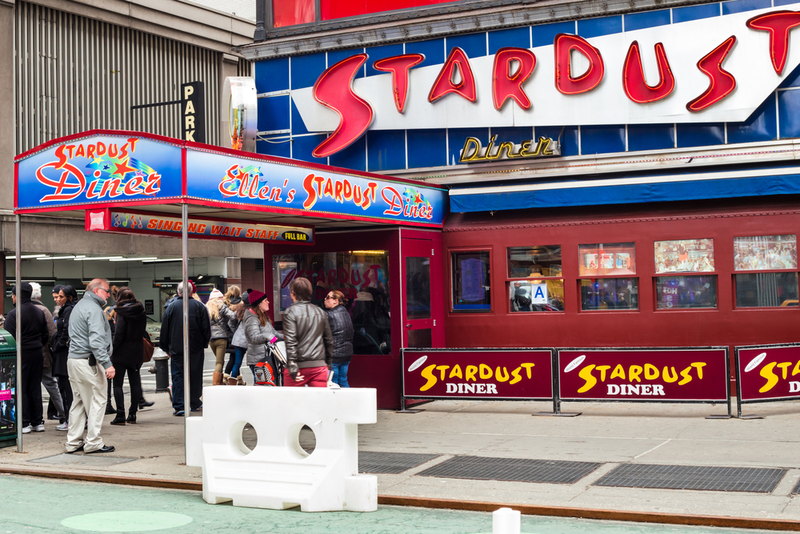 Food is served with a side of show tunes at Ellen’s Stardust Diner in Times Square, where Broadway-quality performers belt out classics while your family feasts on burgers, wraps and super-stacked sandwiches. 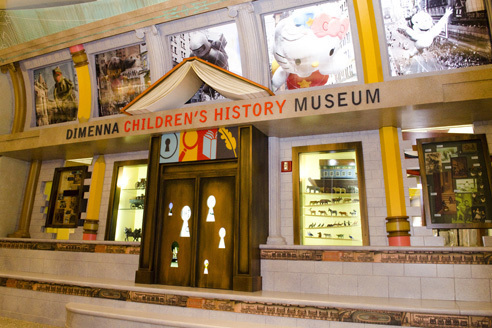 Before they’re old enough to appreciate the New York Historical Society, bring budding history buffs to the DiMenna Children's History Museum. 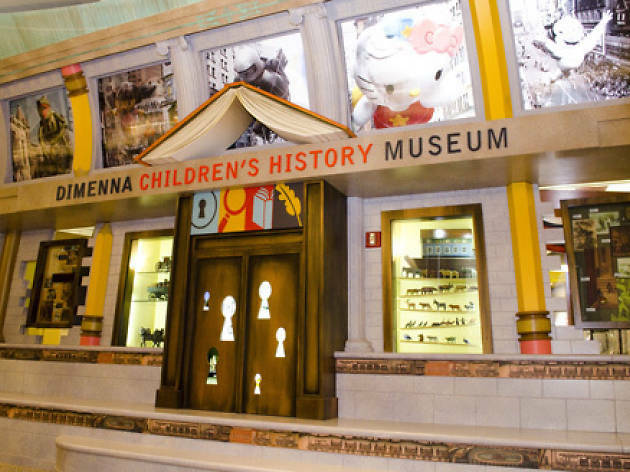 The venue caters to the 8-to 13-year-old set by featuring exhibits on children throughout the city’s history, from an18th century Dutch merchant’s daughter to Alexander Hamilton, as well as the newsies who worked the streets in the 20th century. 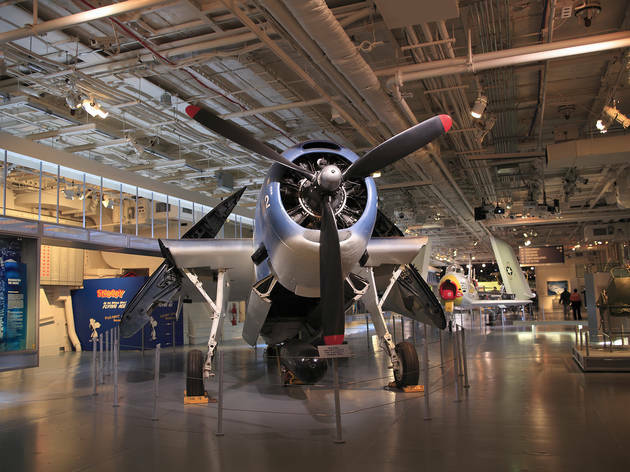 While the highlight of most museums is what’s inside, simply climbing aboard this former aircraft carrier, which fought in World War II, the Cold War and the Vietnam War, and survived five kamikaze attacks is one of the most exciting parts about visiting. No trip is complete without stepping inside the Bell 47 helicopter, navigating the interacting submarine, or steering the wings of an airplane in the Exploreum hall, but don’t miss the Space Shuttle Pavilion, either, which houses the giant NASA orbiter Enterprise. 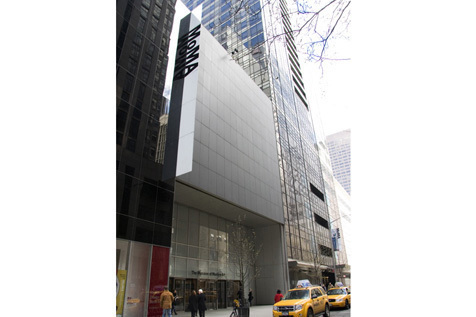 As your brood strolls up Fifth Ave with the shopping bags in hand, make sure to drop by this iconic locale. In the wintertime, this spot draws major crowds who want to take a spin around the beautiful skating rink or ogle at the largest Christmas tree in the world. The handmade ornaments and other trimmings on the massive spruce make a great backdrop for a family photo, but not to worry if you can’t make it over the holiday season. On balmy days, the plaza is still a fun sightseeing stop, plus a farmers market and nearby shops like the LEGO Store provide plenty of opportunities to browse. 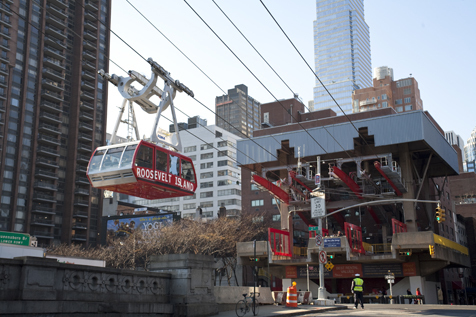 You can reach this narrow island in the middle of the East River by bus or subway, but the red tramway cars make for a unique commute. 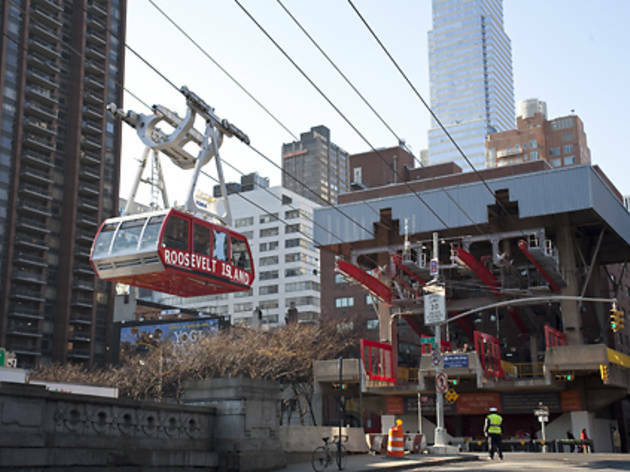 Hop aboard at the 59th Str and Second Ave station and check out the Queensboro Bridge as you make your way across the water in mid-air. 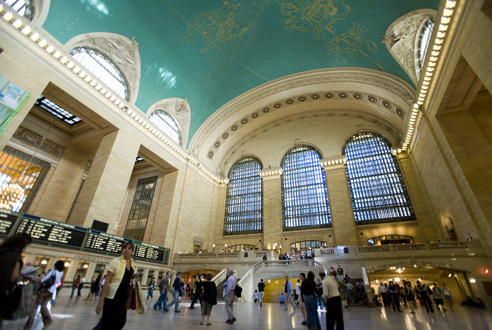 There’s tons to see once you get to the other side, from public gardens to waterfront art. On weekends, explore on two wheels by renting bikes from Blazing Saddles near the 103rd Street pedestrian bridge—there are adult- and child-size bikes available. With two miles of paved pathways and significantly less traffic than Manhattan, you won’t have to worry about your wobbly little ones. 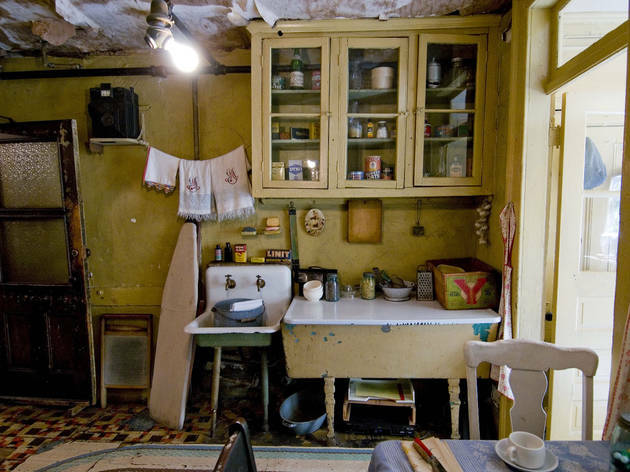 While a NYC apartment can feel pretty cramped, at least you and your brood don’t have it quite as bad as the immigrants who called this Lower East Side building their home in the 19th and 20th centuries. Big kids (children under 6 are not admitted) can see how their ancestors and New Yorkers who came before them lived on a one hour tour of the former tenement, which covers in great detail how the German-Jewish and Irish families struggled to find their way in their new country through grueling labor and tough living conditions. 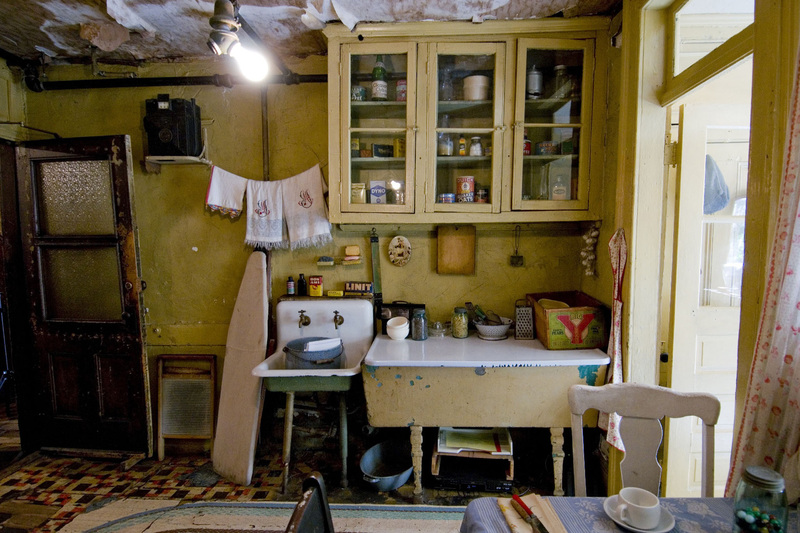 You also see taste how these immigrants ate, with a sit-down meal of various foods that were sold around the neighborhood with a tasting at the tenement. 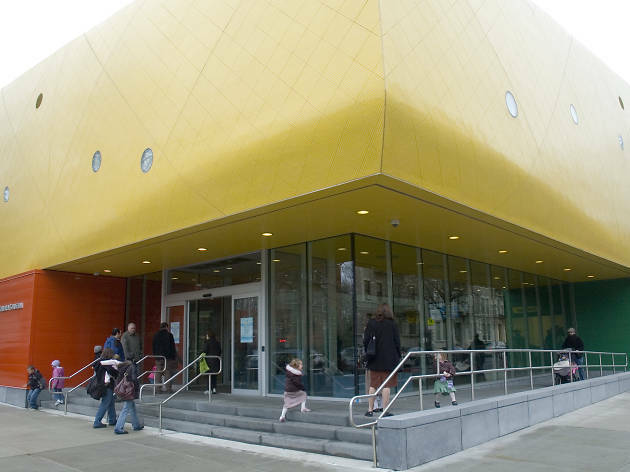 Look for the big yellow roof to find this Crown Heights behemoth, which when it opened in 1899 was one of the first museums in the country geared specifically to kids. It doubles as an ode to the borough, however, with permanent exhibits like “World Brooklyn,” a pint-sized cityscape where little ones can shop at fake Mexican bakeries and international bodegas, or “Neighborhood Nature,” which explore the critters and plants found in everyday Brooklyn backyards. 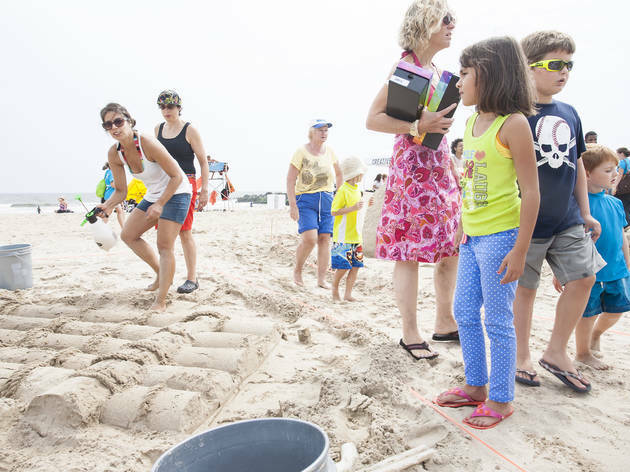 Plus, every day, there’s a slew of drop-in workshops that’ll keep them entertained. Even if your little rides public transportation every morning, they probably still get a kick out of playing with toy trains, cars and buses. 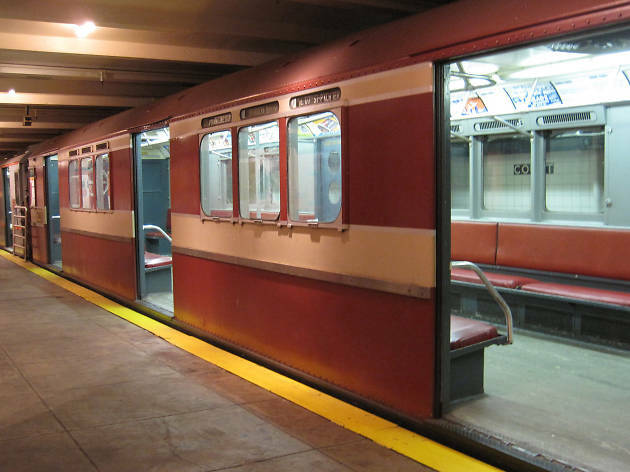 You can give in to that obsession— and teach them a few fascinating facts that might even be new to you—while at this spot dedicated to the history of the city’s subway system. 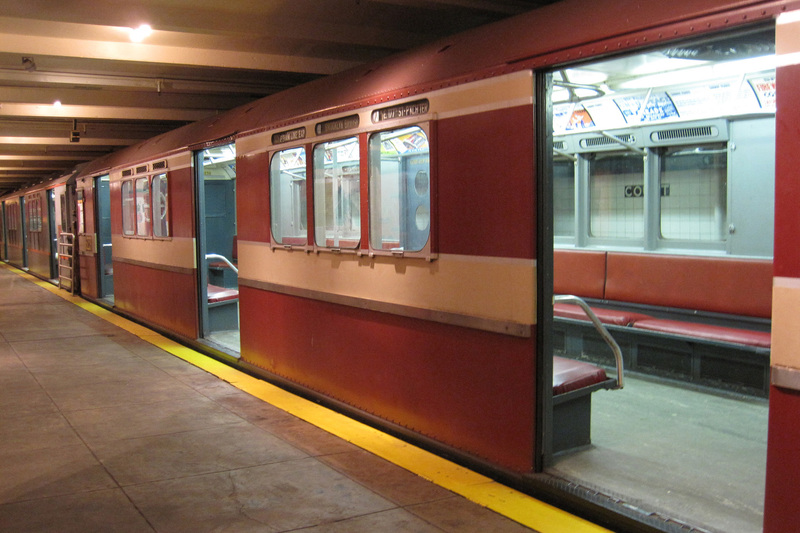 Located in an authentic 1930s subway station, the museum uses pictures, models and vintage cars (which you can hop aboard) to tell the fascinating story about New York’s iconic underground tunnels. 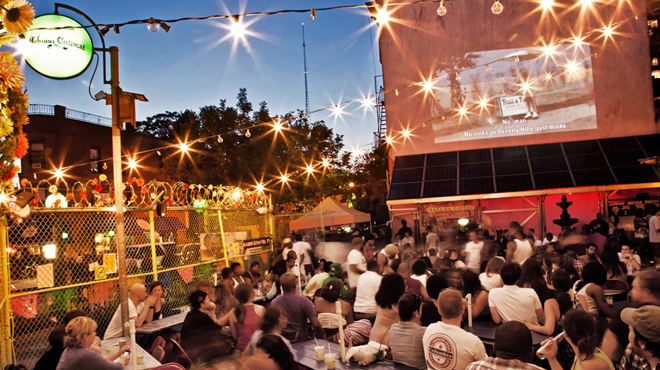 The Gowanus Dinosaur Bar-B-Que is always packed, but the food is worth the wait. Visit early on weekdays to score one of six outdoor picnic tables and on weekends, put your name in and stroll around the block until the host shoots you a text. At the restaurant, you'll find kids' activities at the table (like coloring) to make sure any whining is kept to a minimum while you wait for a plate of delicious comfort food. Venue says Join us for Happy Hour Monday - Friday from 3pm-7pm at the bar and high tops only. 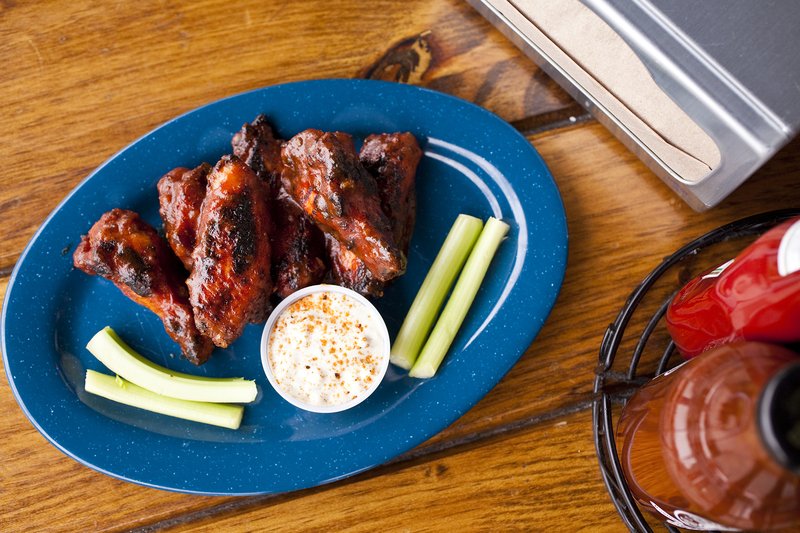 $4-$7 Happy Hour specials including select $6 appetizers! 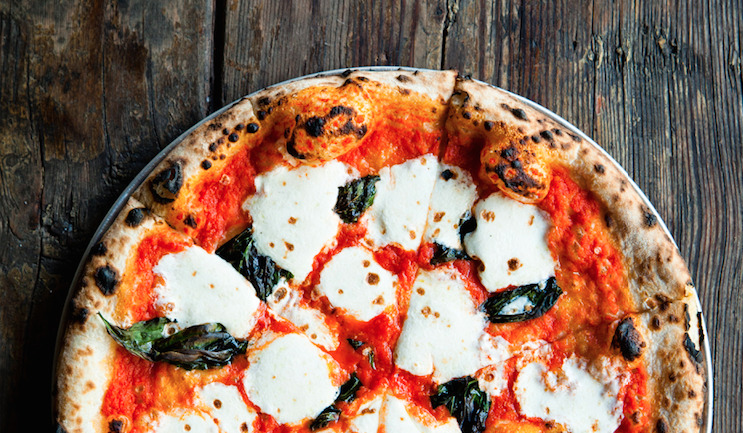 We can all agree that pizza is an essential part of New Yorkers’ diets. 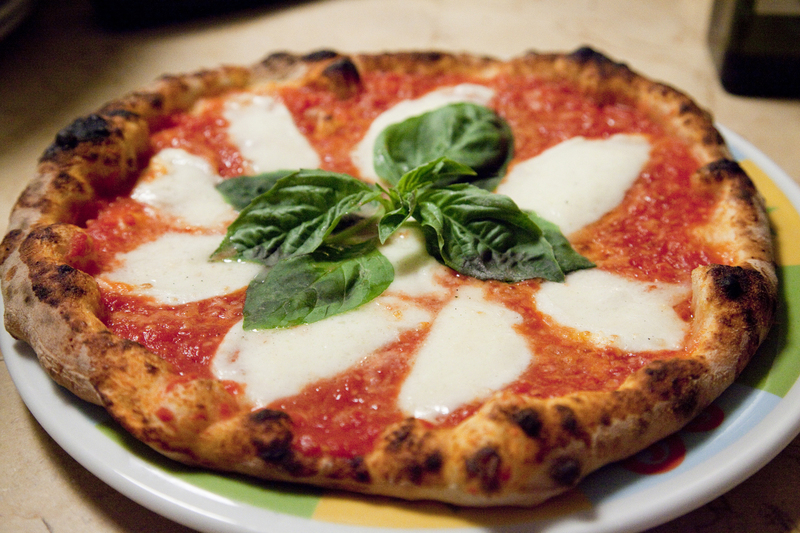 What we can’t seem to agree upon, however, is the best slice in town. 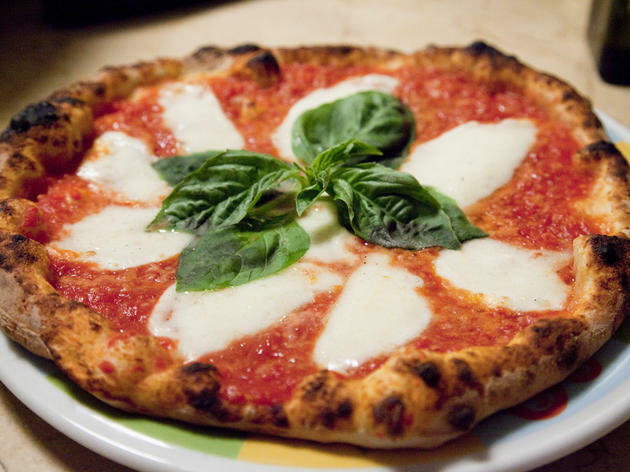 From classics to Lombardi’s in Little Italy to popular venues like Lucali in Carroll Gardens, NYC pizza places keep us coming back hungry for more. Although there will never be a definitive answer about the best of the best, it’s probably in your best interest to make a pitstop at all the greats and decide for yourself. 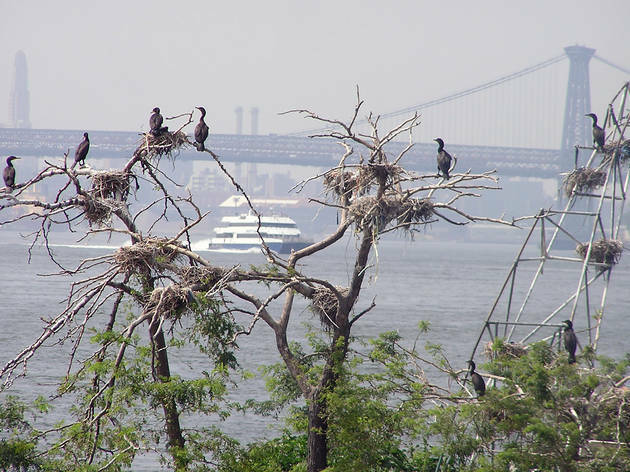 Fans of all-things nautical will flip over the fleet of historic ships docked at this harbor on the southern tip of Manhattan. 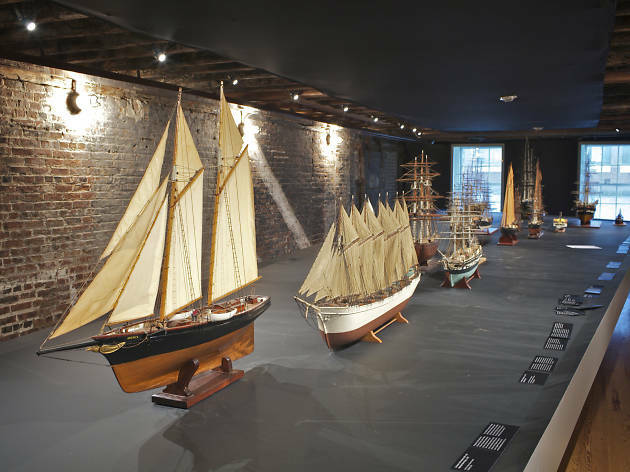 At the South Street Museum’s active waterfront, visitors can get up close with vessels including the Ambrose, which served as a floating lighthouse, and an 1885 schooner named Pioneer South—you can even set sail aboard a few! 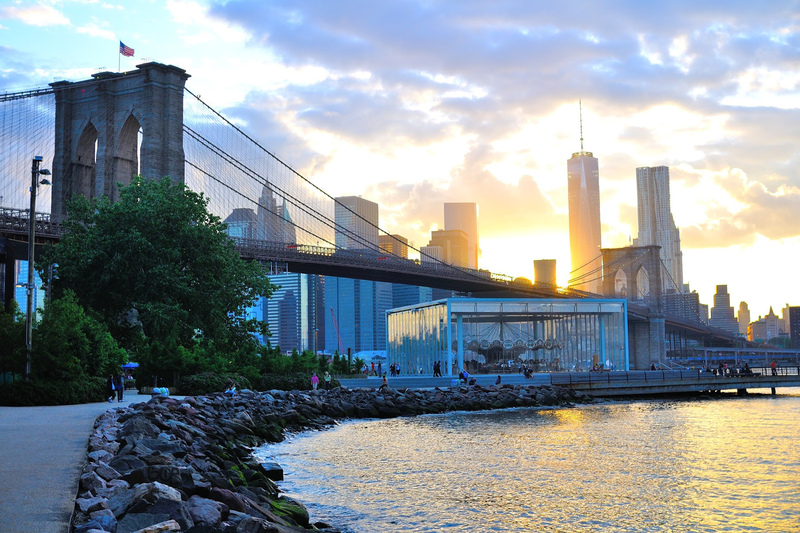 Back on dry land, families can fuel up on tasty treats or track down just-for-kids activities like workshops with FiDi Families, live KidAround performances or free Front Row Cinema screenings. 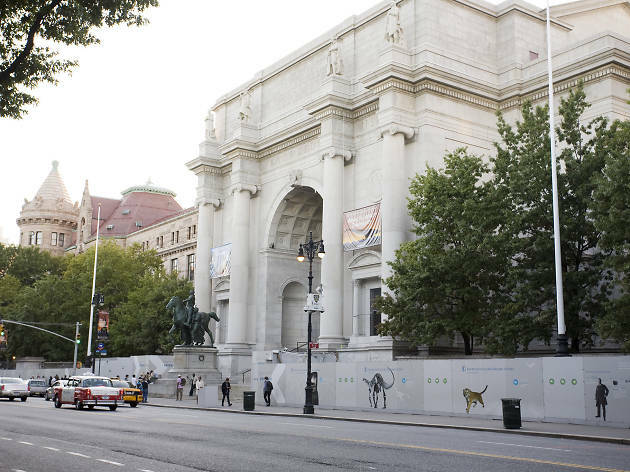 For curious kiddos who’ve visited “the dinosaur museum” one too many times, the Met offers an alternative that’s just as kid-friendly—as long as you know where to go. 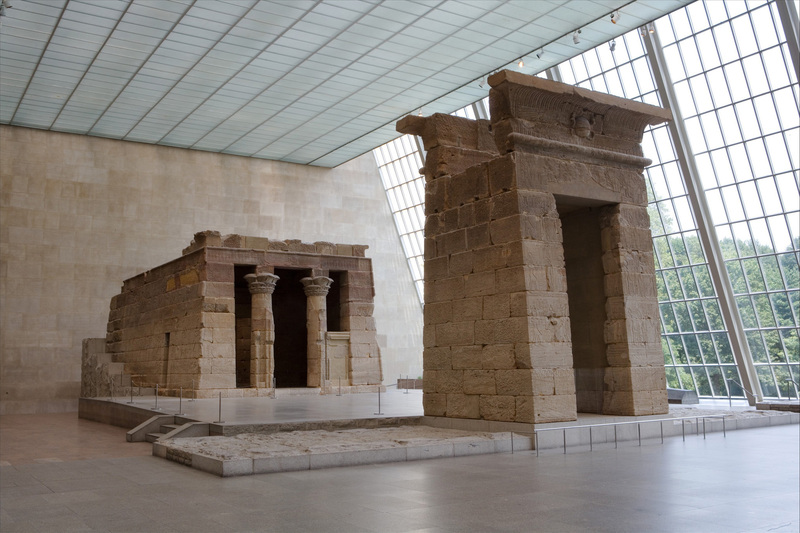 Start by walking through the Temple of Dendur in the museum’s Egyptian Wing, then say hello to Sphynxes, the statue of the Nile crocodile and—for brave older siblings—a peek into the coffin of Khnumhotep, where they’ll gaze upon a real mummy! It’s no secret that life in NYC doesn’t come cheap: Rent skyrockets, cab fares surge and little boutiques nestled in your favorite Brooklyn nabe sell beloved, handmade toys for a pretty penny. Despite hefty costs that are often associated with Gotham, there are plenty of freebies to enjoy...if you know where to look. 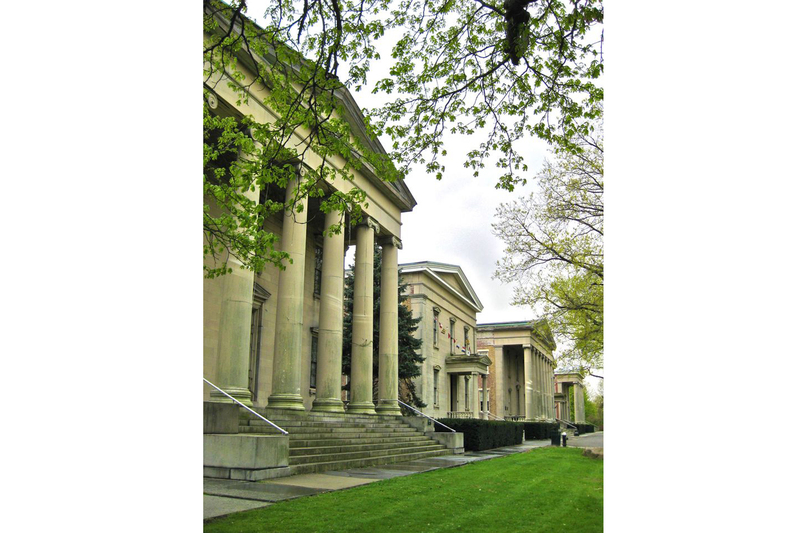 Explore your local libraries, parks and attractions for free classes and events. 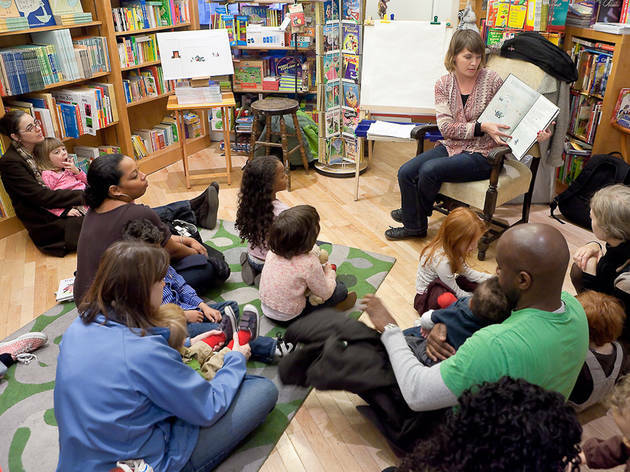 Story time at Books Are Magic is free over the weekends, and Saturday games at Brookfield Place are cost-free. Dollar signs can seem daunting, but we assure you that there’s some relief! 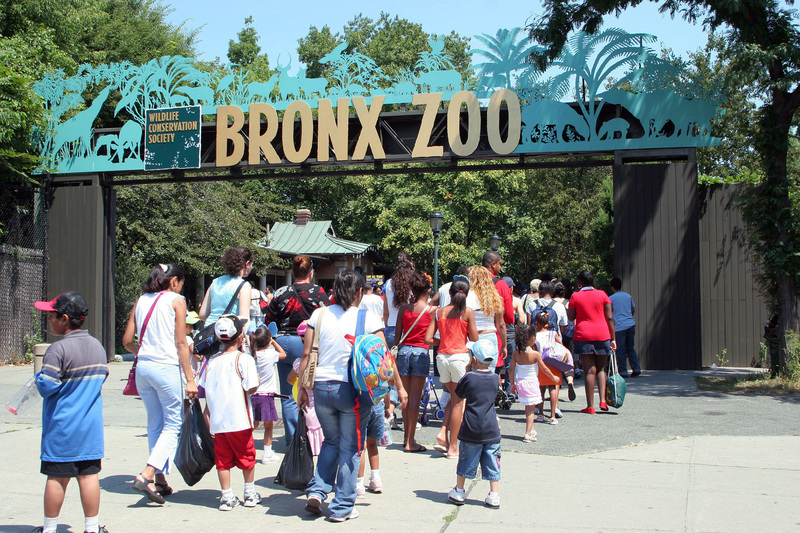 When little ones ask to go to the zoo, there’s no doubt they mean the Bronx Zoo, NYC’s best and biggest. Bustling with more than 4,000 creatures, the go-to attraction is home to lions, tigers and bears (oh my! ), the World of Reptiles (including the famous cobra who went missing a few years back), adorable snow leopards of the Himalayan highlands, an outdoor baboon reserve, the sea lion pool and an exhibit dedicated entirely to lemurs and other animals of Madagascar. While every kid will have their own favorite part, no trip is complete without a ride on the Wild Asia monorail. 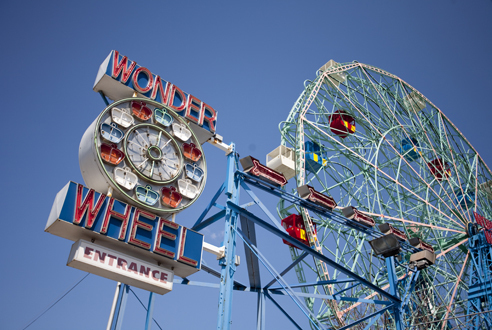 Adults may dig the retro hipster vibe of the scene, but kids just unabashedly love the thrills: ogling sword swallowers, chowing down on hot dogs, watching the Mermaid Parade from Dad’s shoulders and screaming through the most awesome rides. For those who are looking for a few thrills, ride on the Cyclone; otherwise, try something a little tamer, like the Teacups or Brooklyn Flyer. Luna Park, once home to the beloved Astroland, is a summertime go-to, regardless of age. 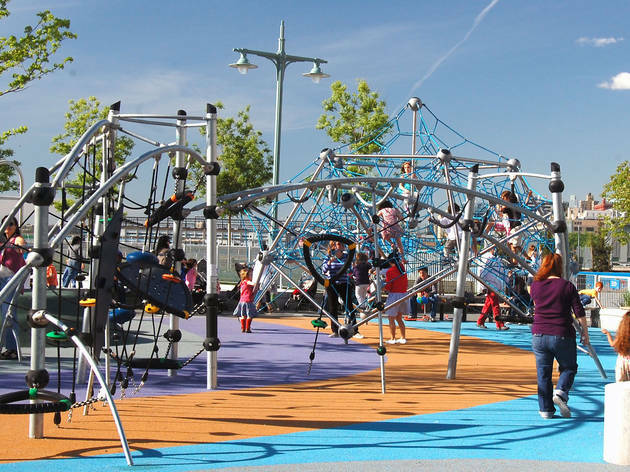 With new thrills like the Astrotower, which made its debut in 2018, to the impending obstacle course, which is slated for a 2019 release, the Brooklyn nabe offers endless amounts of fun. 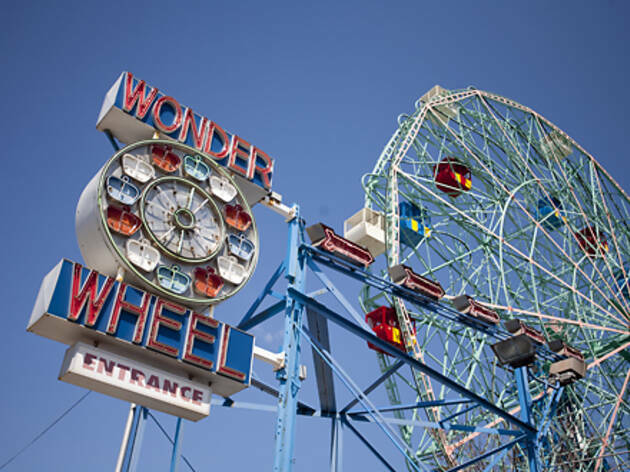 After hitting the games, head to Luna Park’s neighbor, Deno’s, for a ride on the famed Wonder Wheel. A word to the wise: Get the amusement park thrills out of the way before lunch at Nathan’s. 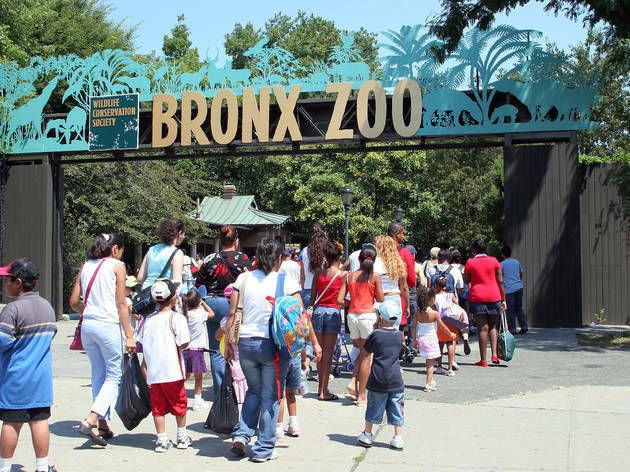 If the family is ready to take on another activity, catch a good old-fashioned minor-league ball game down the beach at MCU Park or explore underwater creatures at the New York Aquarium. 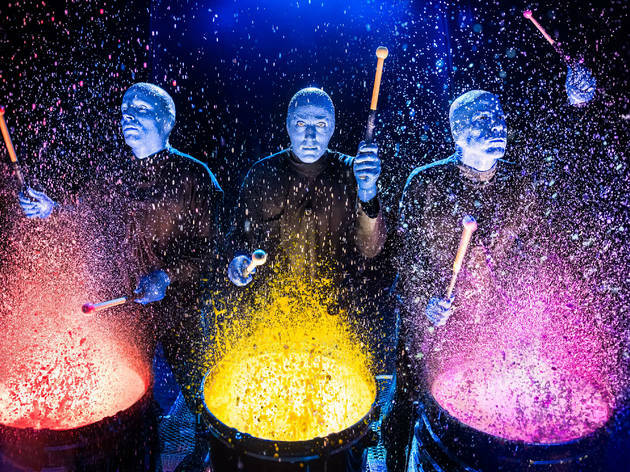 This funky trio has delighted audiences for years with quirky antics, a few splashes of paint (to say the least) and unbelievable percussion. 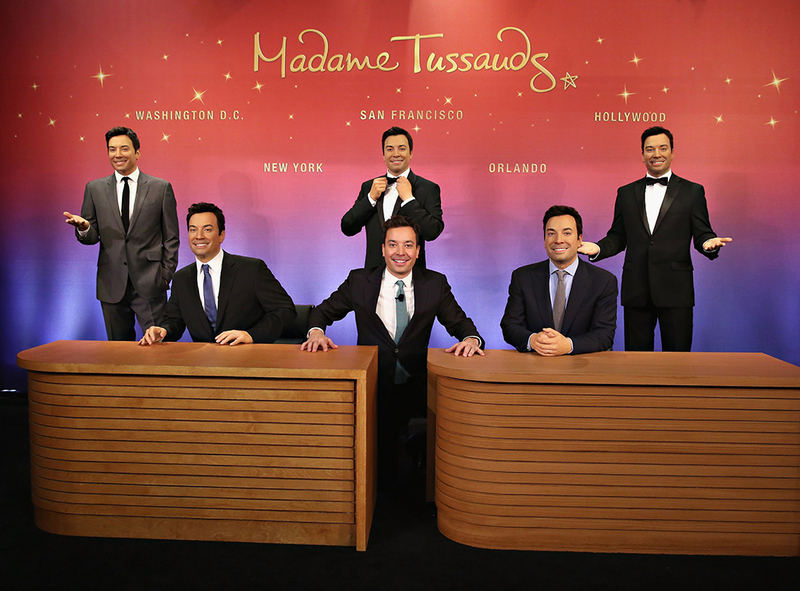 You’ll love laughing along as these blue fellas try to make sense of the world around them, and you’ll certainly get a kick out of their skills...just make sure to put on that poncho if you’re in the front row. The VIP Experience lets you mingle with band members before the show and try a few of the handmade instruments for yourself. 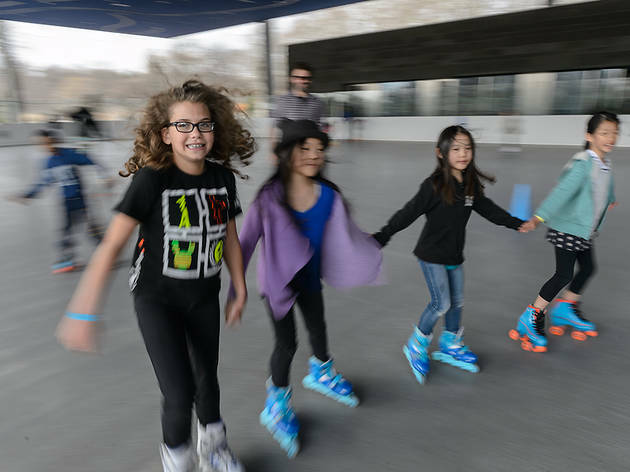 It’s hard for kids to choose whether they’d rather go ice-skating or visit an amusement park, but luckily, this multi-use space changes with the seasons. From October through spring, it acts as Trump Rink, an outdoor skating arena with public hours and drop-in private lessons, but when the ice melts, it turns into Victorian Gardens, a delightfully old-fashioned amusement park. 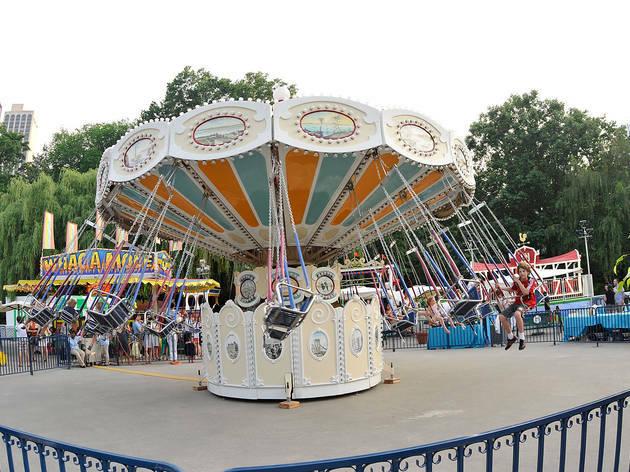 Expect nostalgic rides like the classic round swing, bumper boats, and a train track, plus carnival games parents will remember, like Whac-A-Mole. Just because you have kids in tow doesn't mean you can't enjoy a frosty beverage. 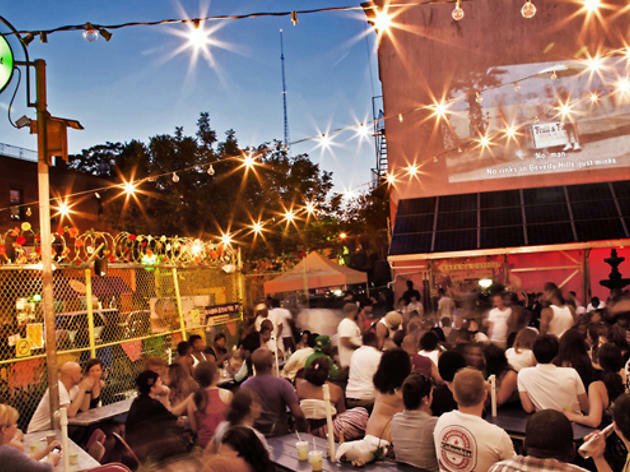 Spectacular NYC venues like Greenwood Park allow kids during certain hours so parents can mingle and enjoy some time away from the playground/apartment—same with Habana Outpost, which both serves alcohol and frequently offers movie nights and free crafting hours for families. 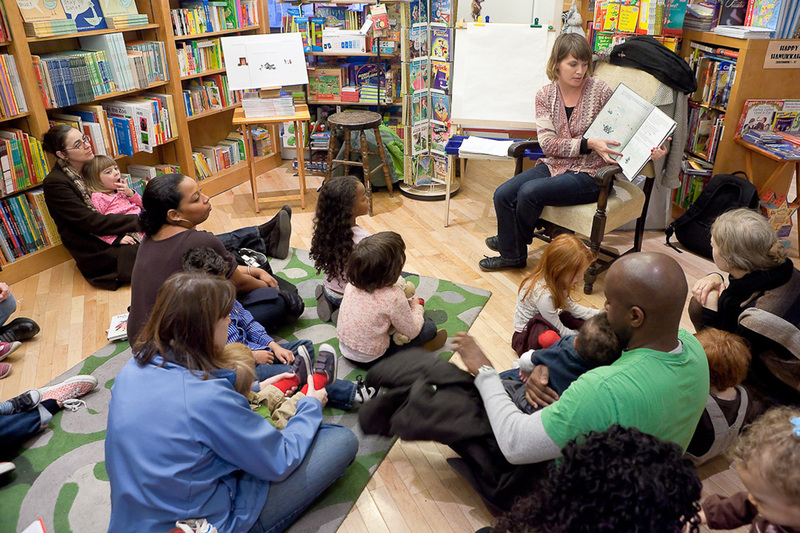 Literature abounds in NYC and even kids can get in on the action. The city’s quaint and charming independent bookstores offer plenty for little wordsmiths and bibliophiles to love. Not only are they able to peruse shelves of their favorite authors, but these spots also offer story times, events, book clubs and subscription boxes. Be warned, Mom and Dad: The kids might stay up well past their bedtime once they find a new read. 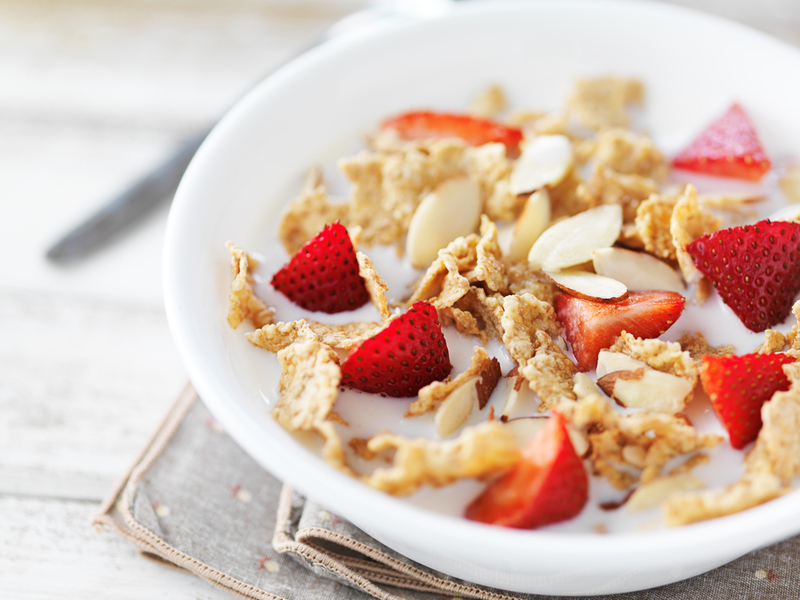 Breakfast is the most important meal of the day, so why not add a little pizazz and kickstart your morning on the right foot? Spots like Kellogg’s in Union Square add a bit of creativity to their breakfast bowls with the addition of sweet fruits, candy and other goodies. When the weekend hits, you better believe kids are going to have a tasty meal on their brains. Although the Great White Way has some sensational theater productions, Off-Broadway shows are not to be overlooked. 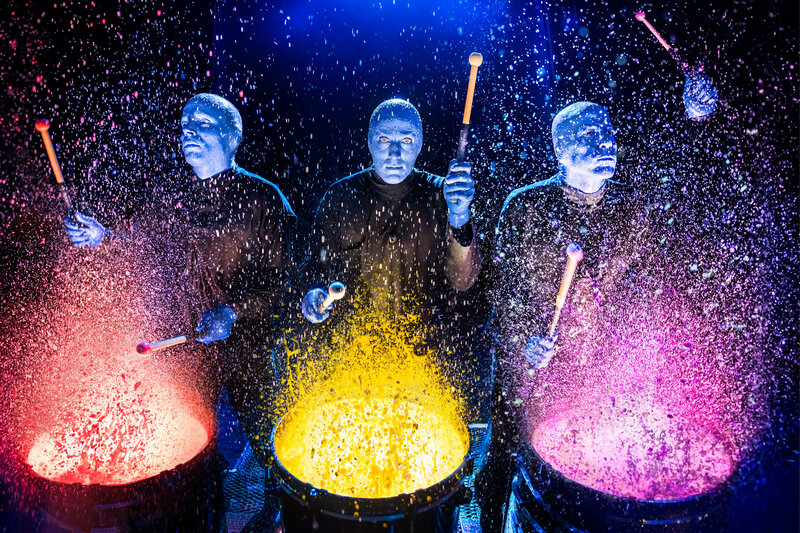 Kids will delight in the whimsical experience of The Gazillion Bubble Show and they’ll get a kick out of the percussion experts in the Blue Man Group. Explore all the shows available for kids and book your tickets ASAP!